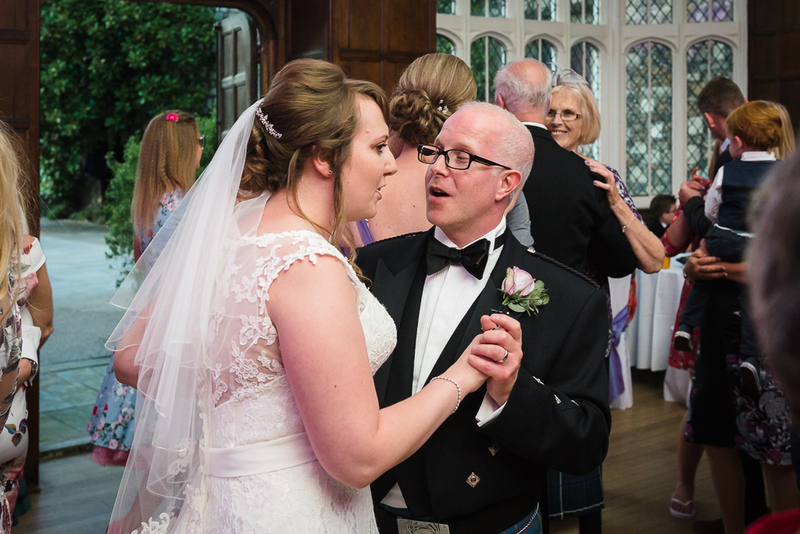 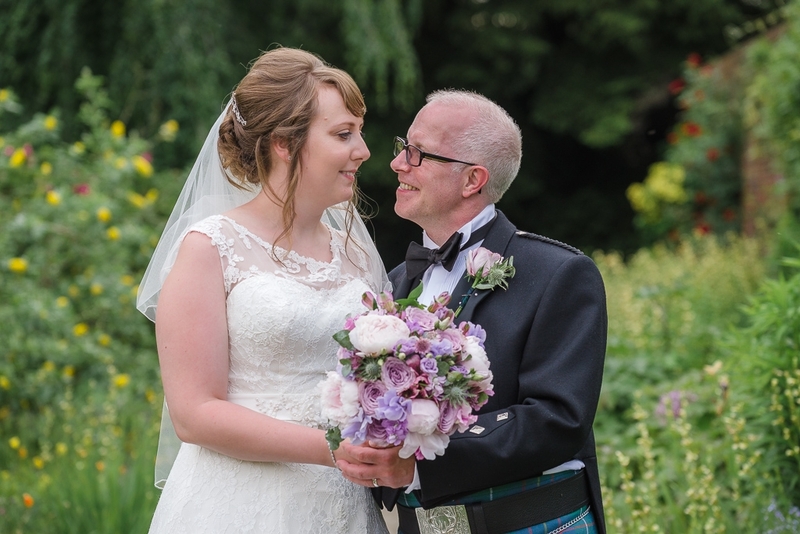 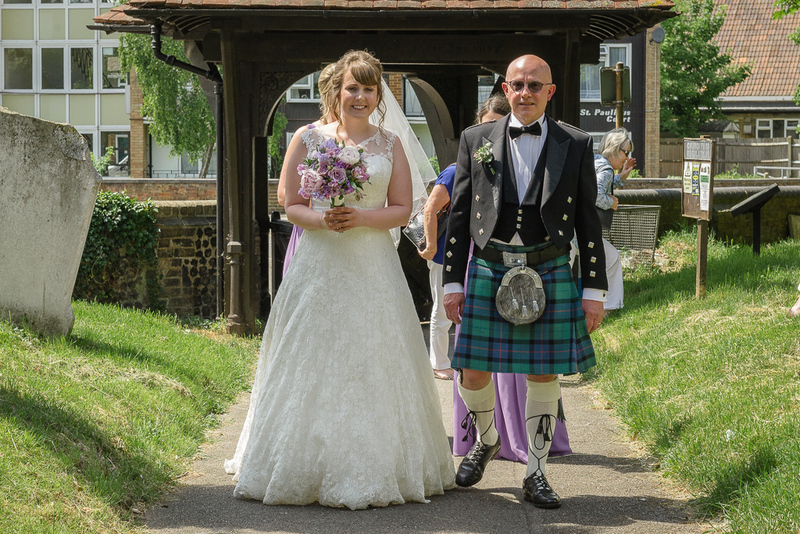 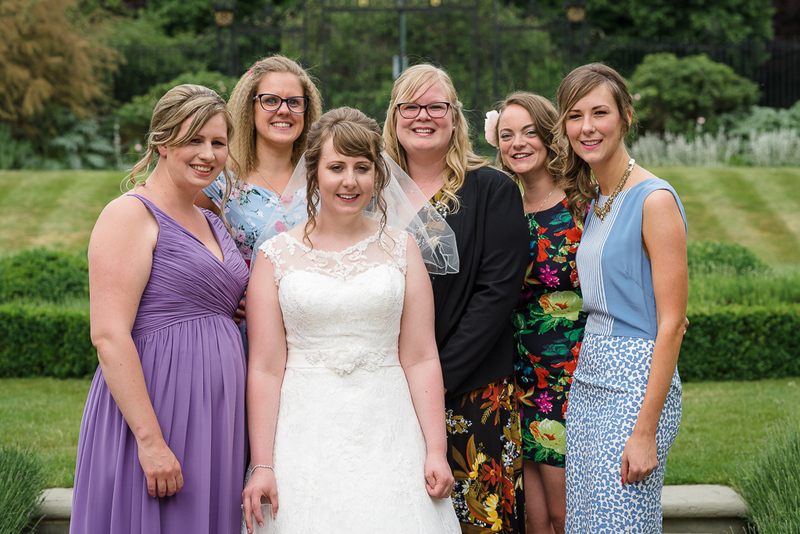 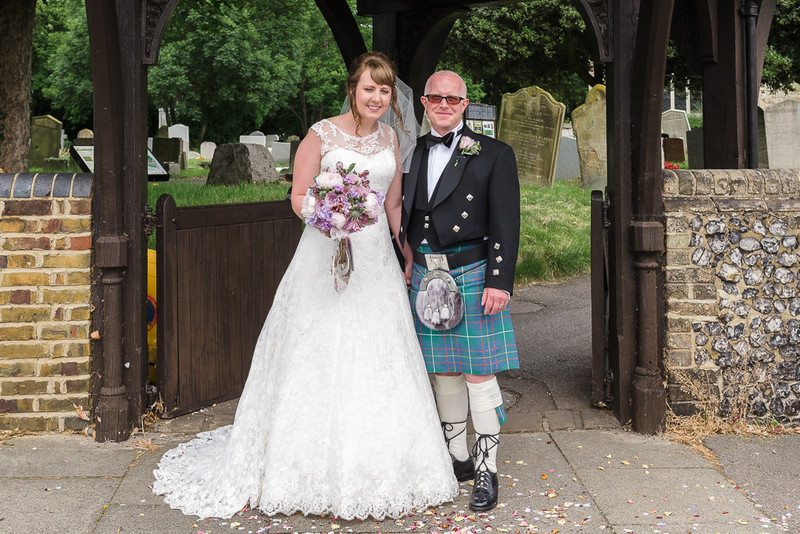 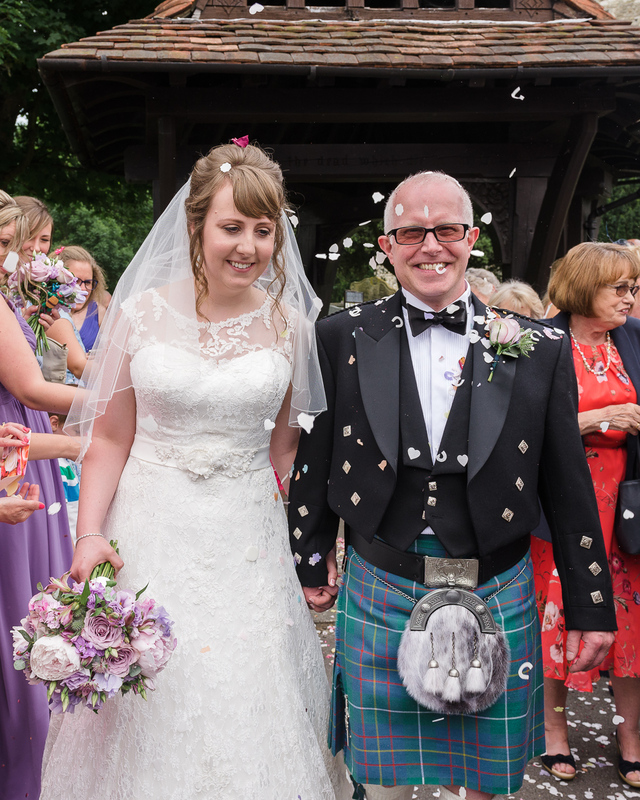 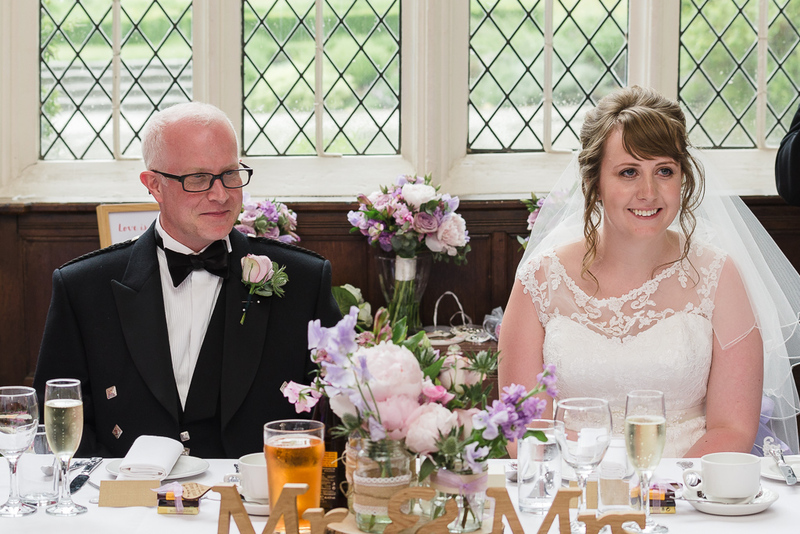 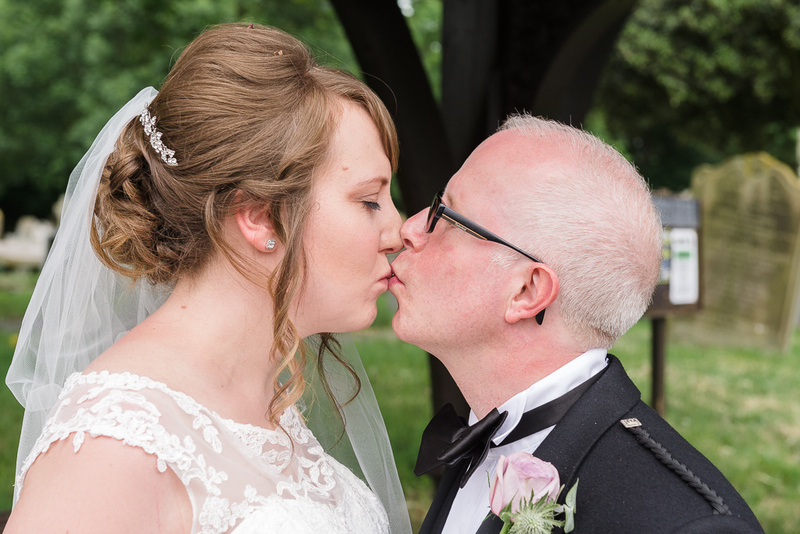 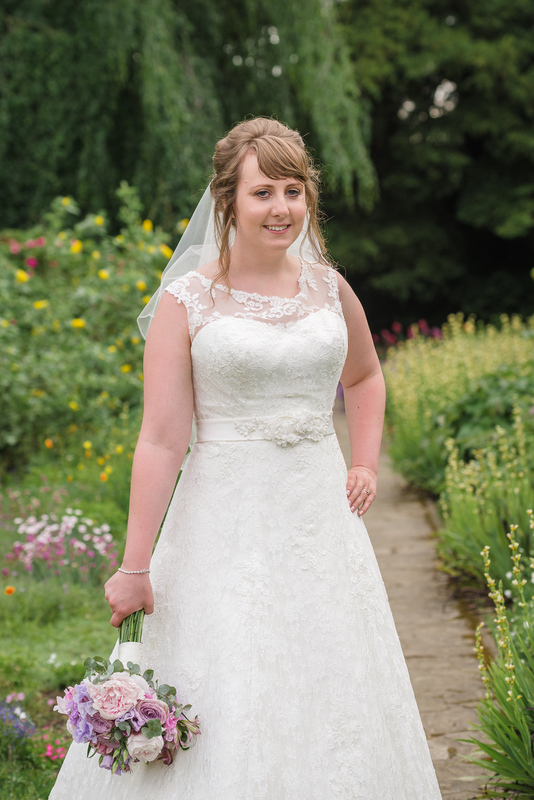 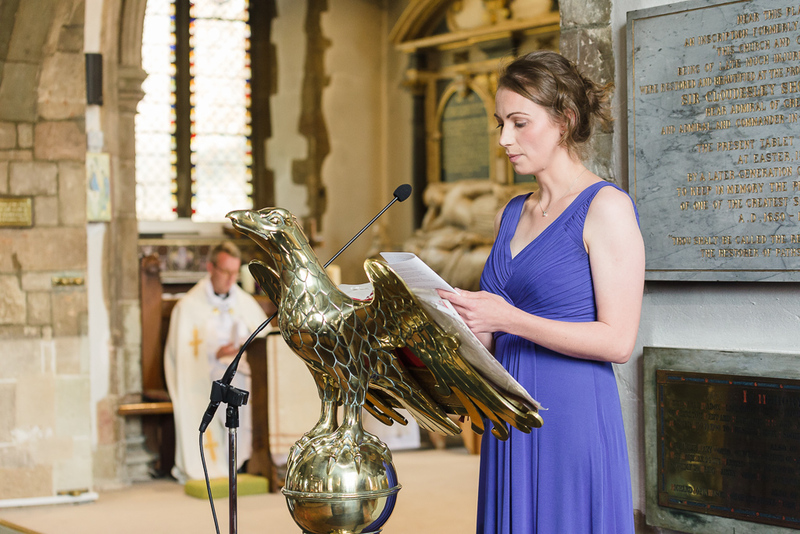 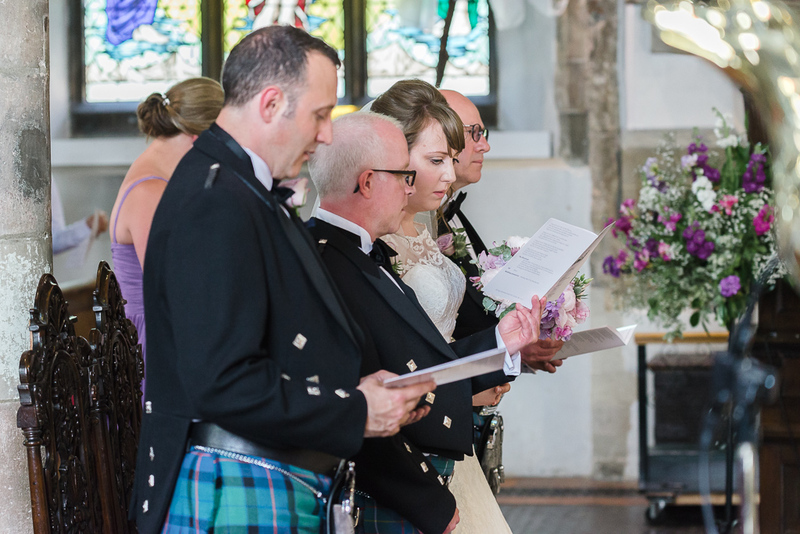 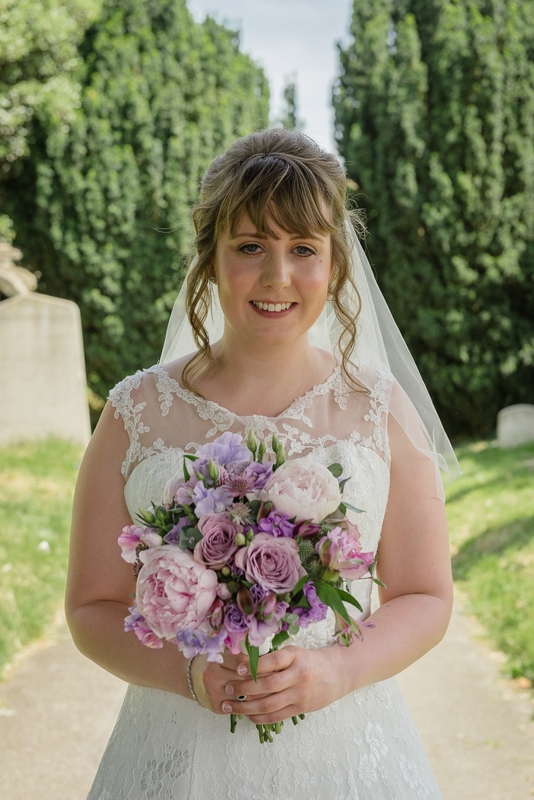 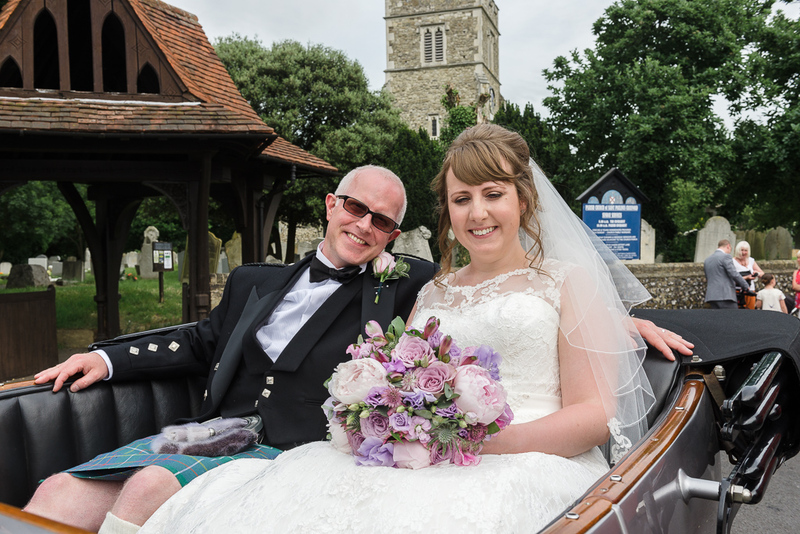 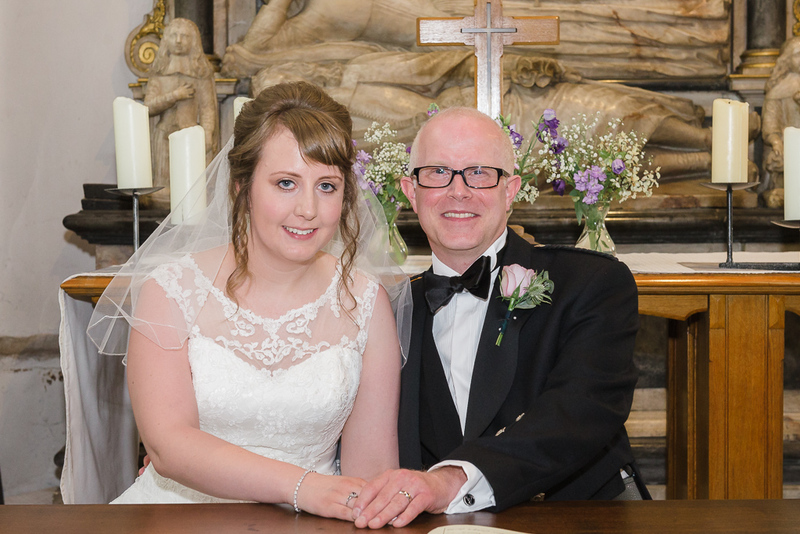 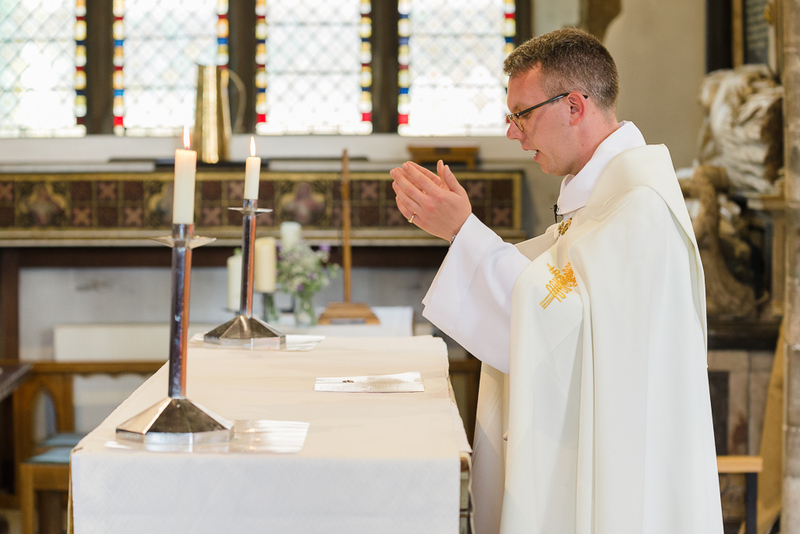 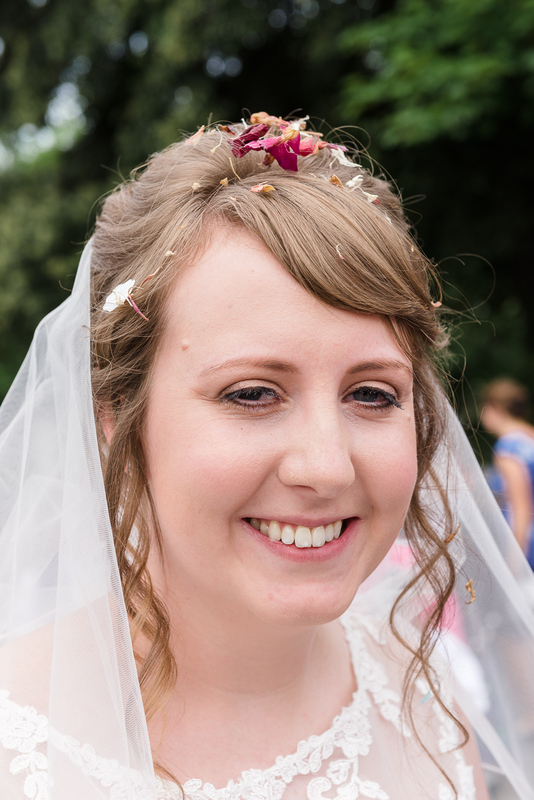 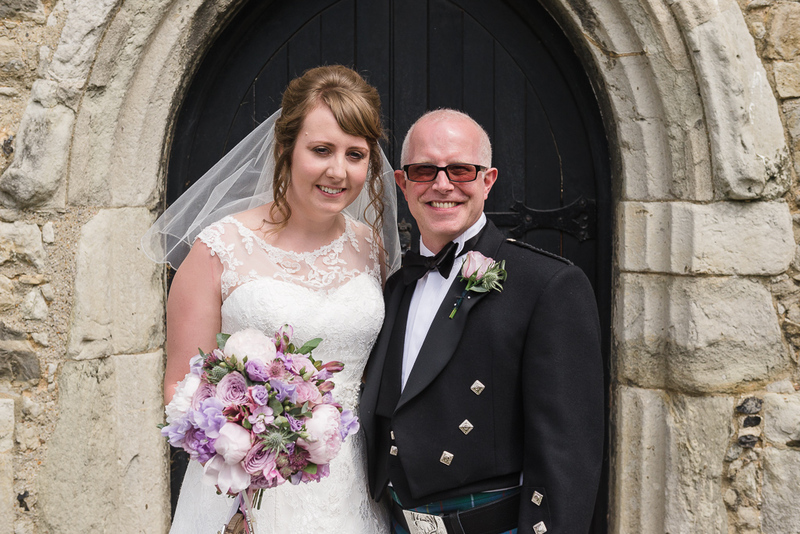 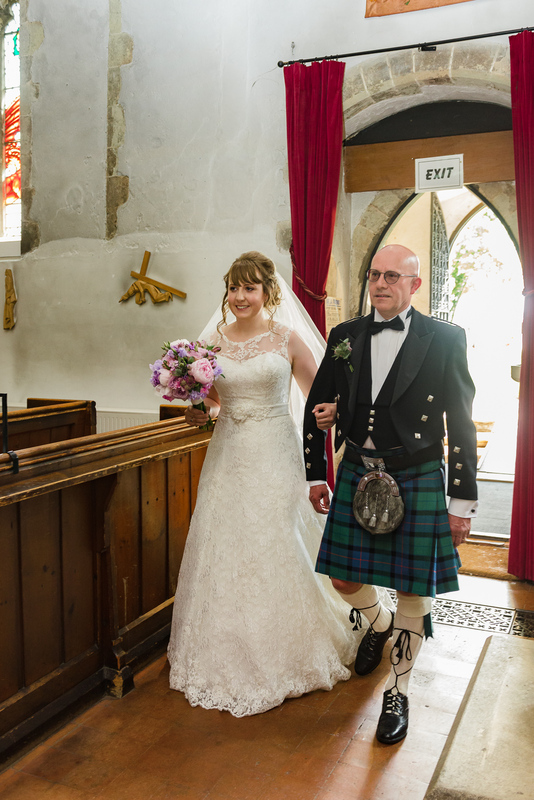 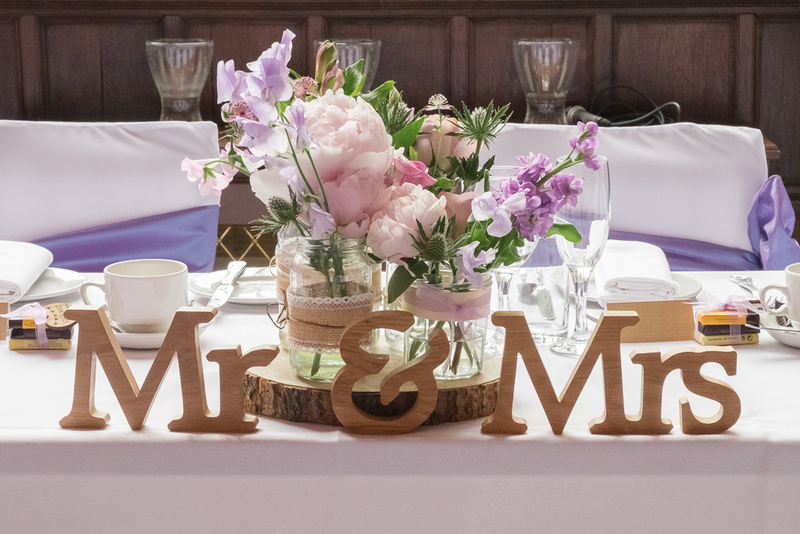 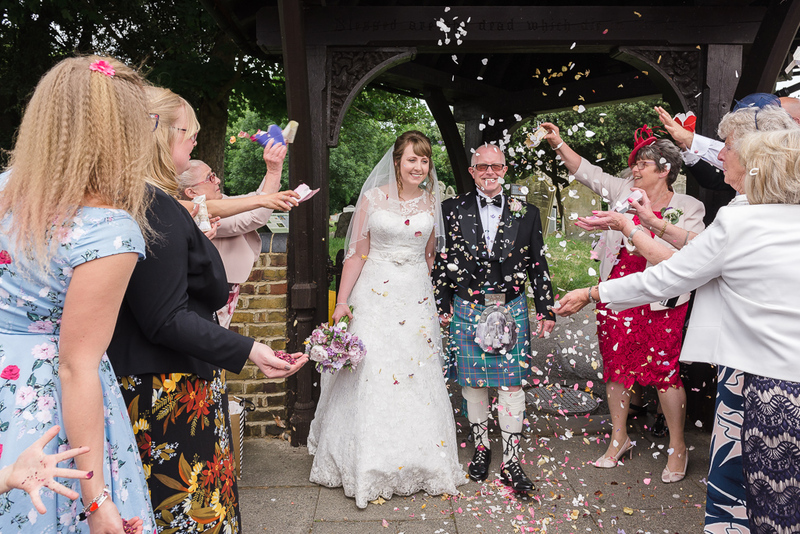 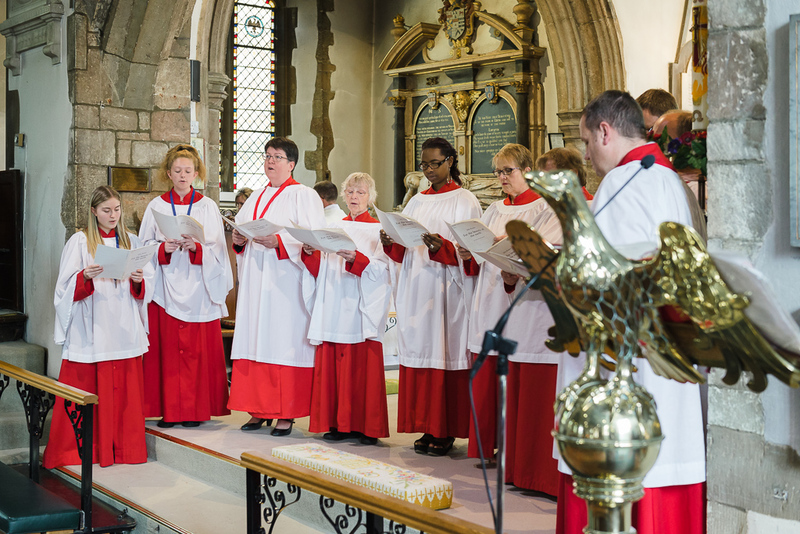 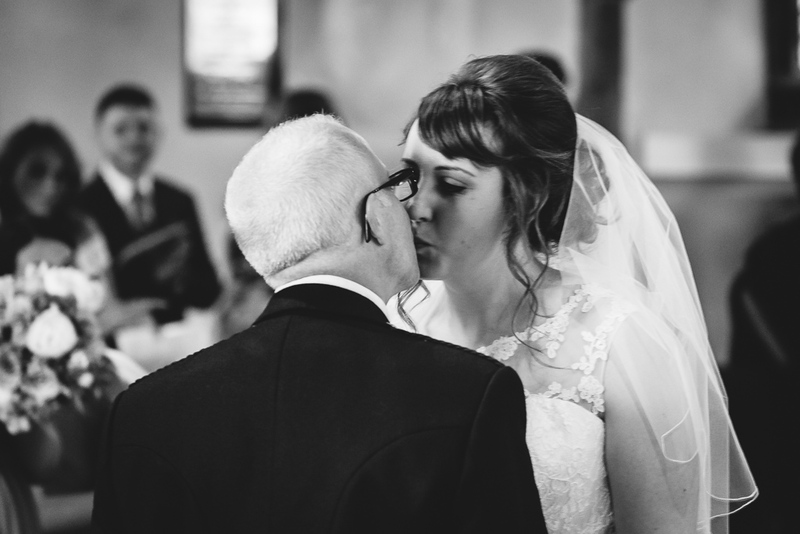 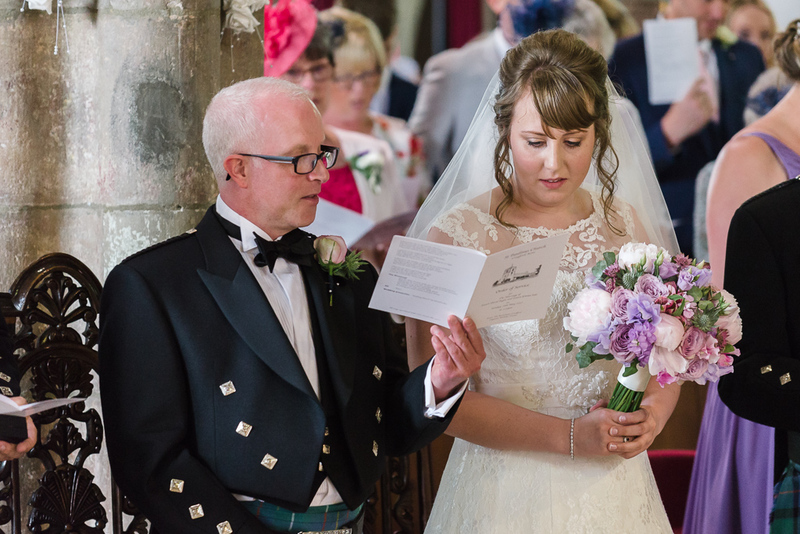 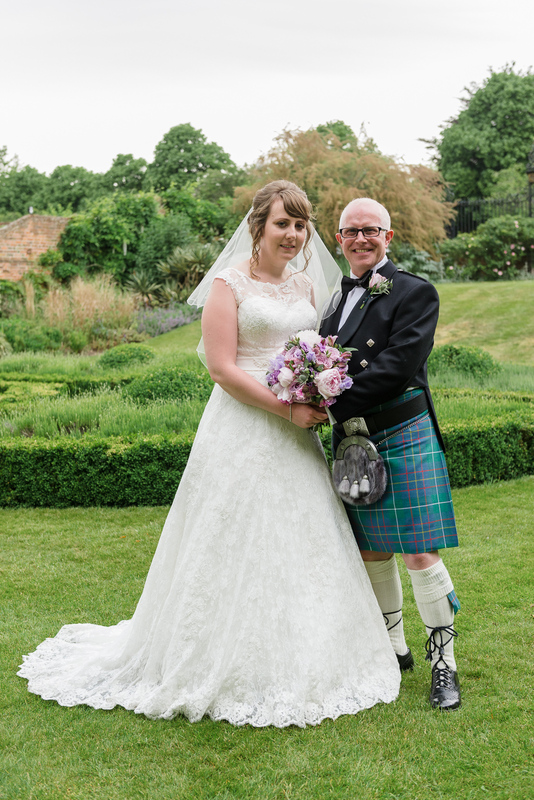 Laura and Stuart were married at St Paulinus Church, Crayford. 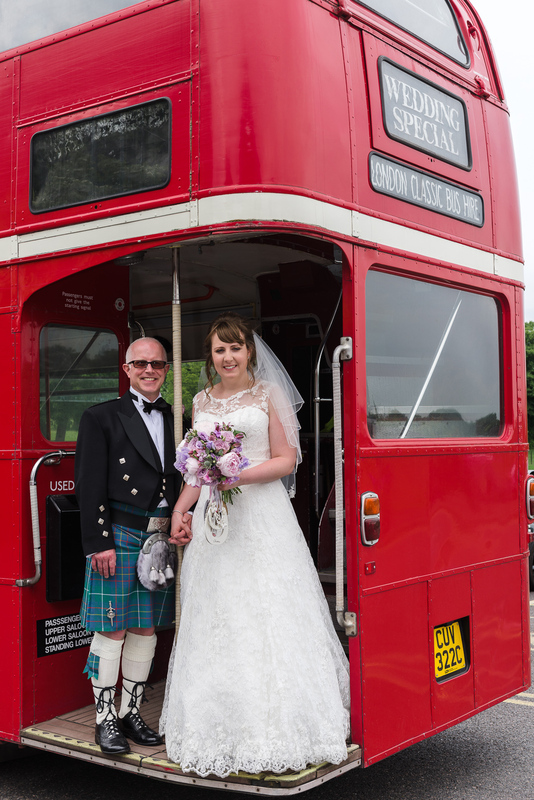 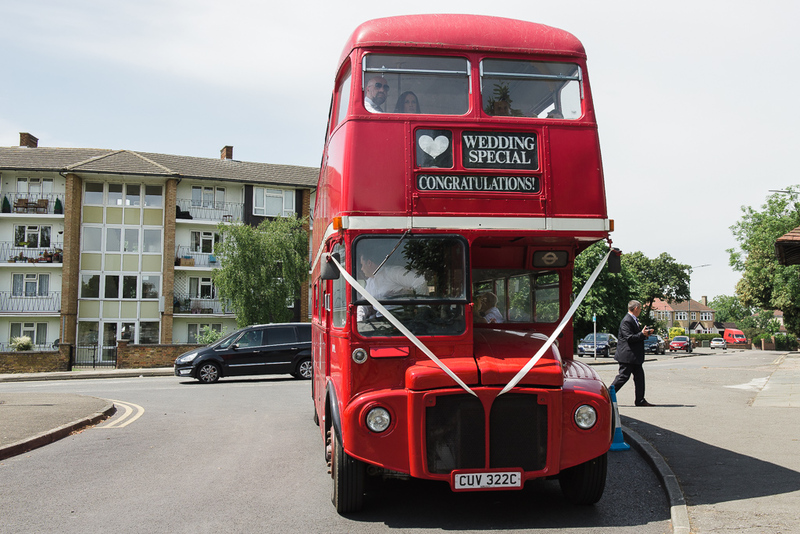 Their guests arrived at the wedding in a London Bus – a great way to transport a large number of guests to your wedding! 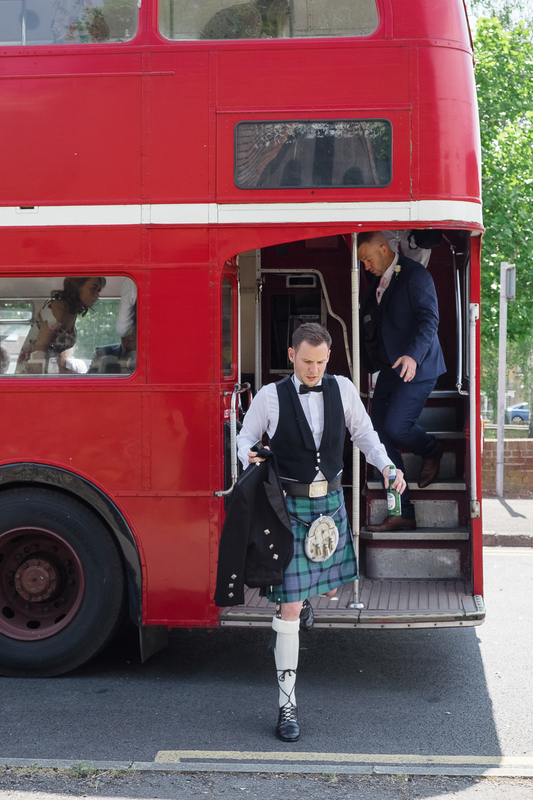 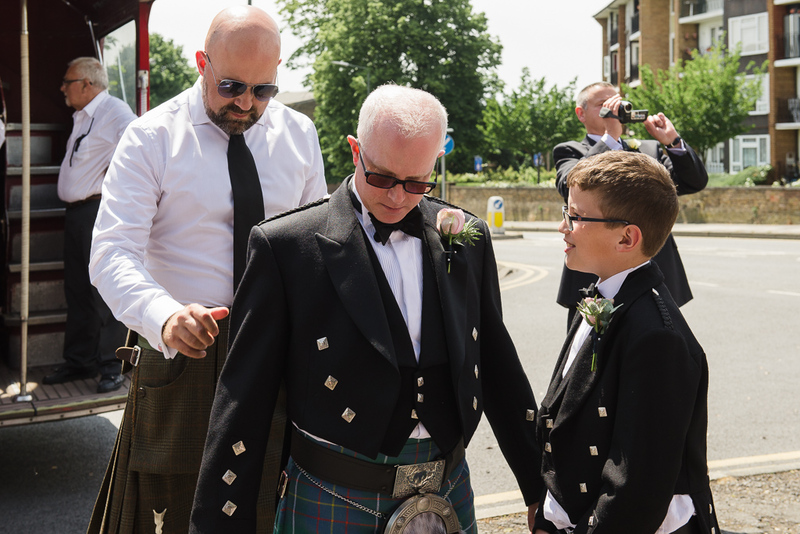 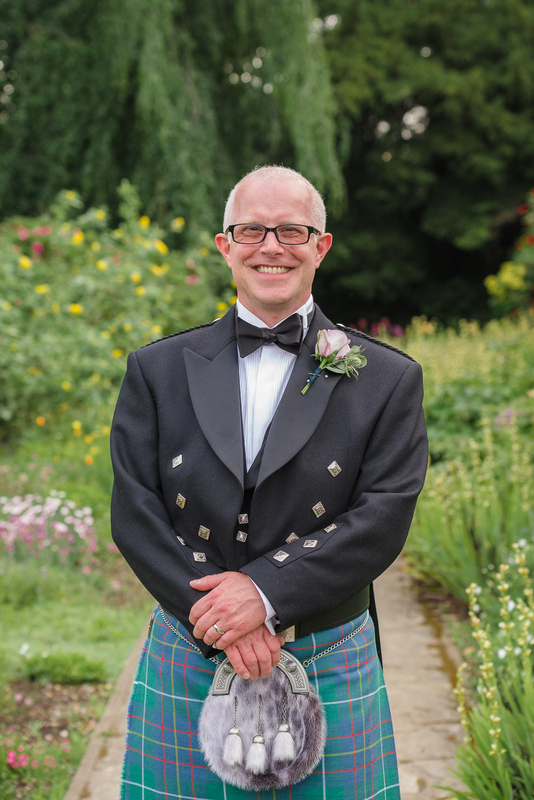 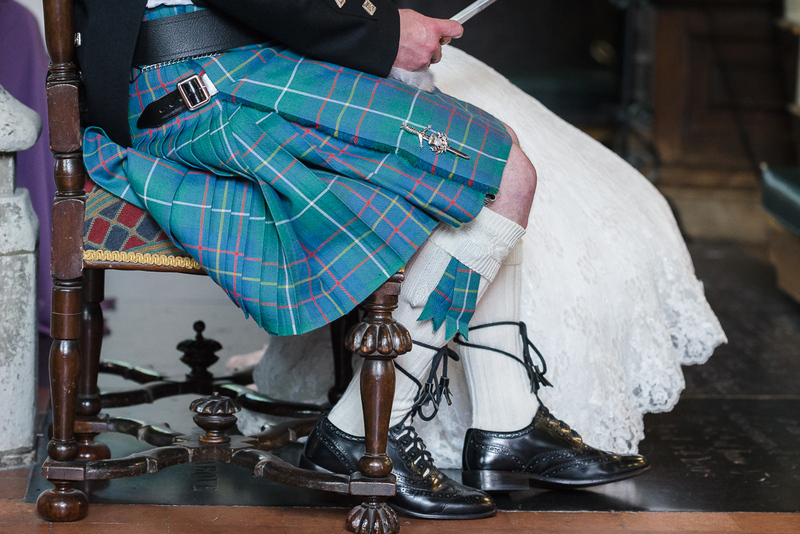 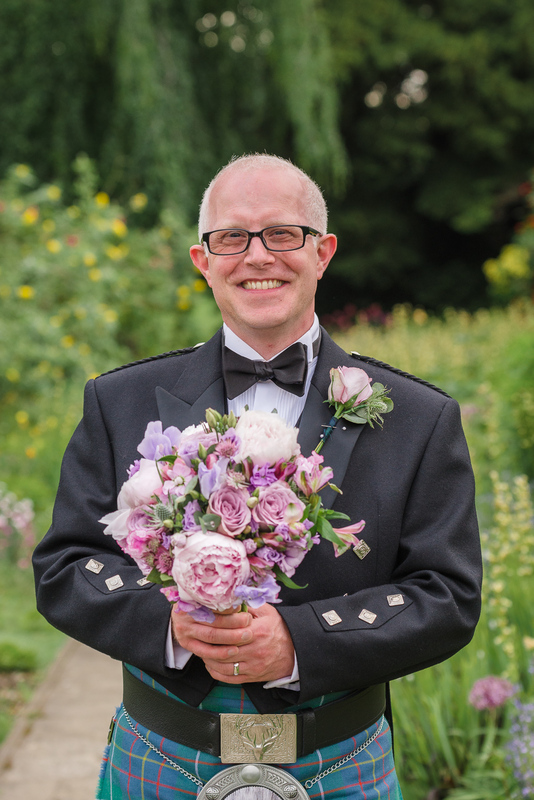 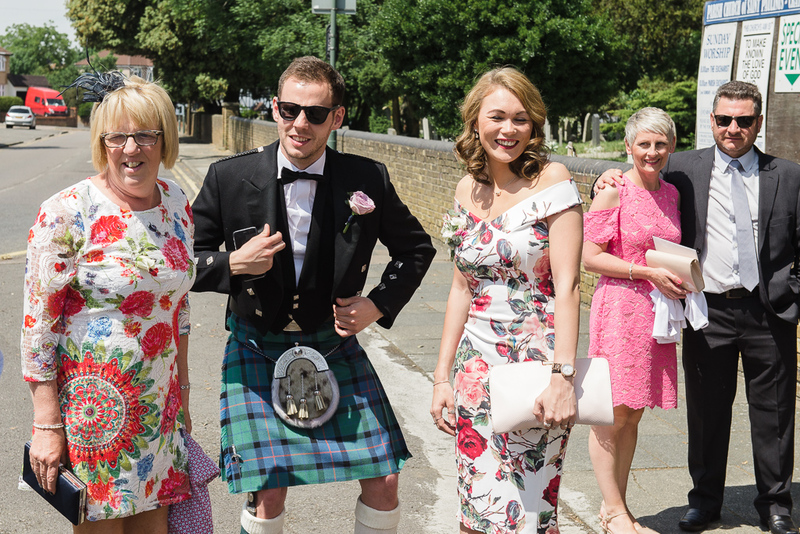 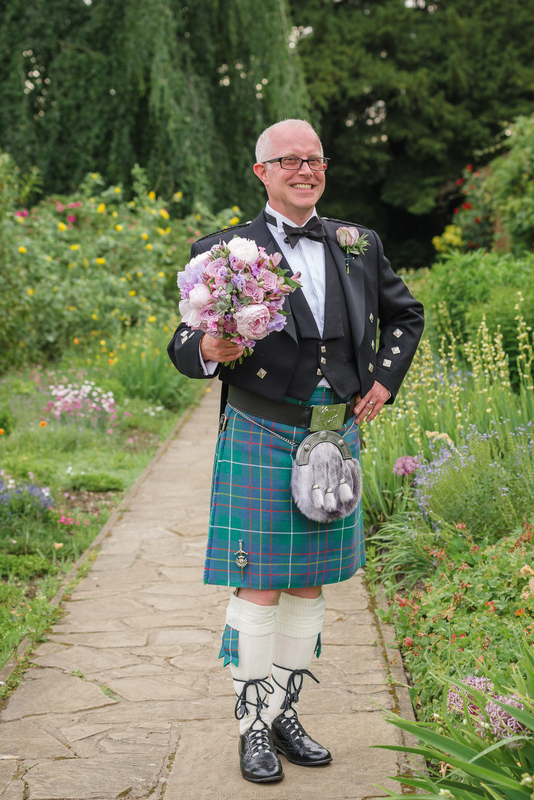 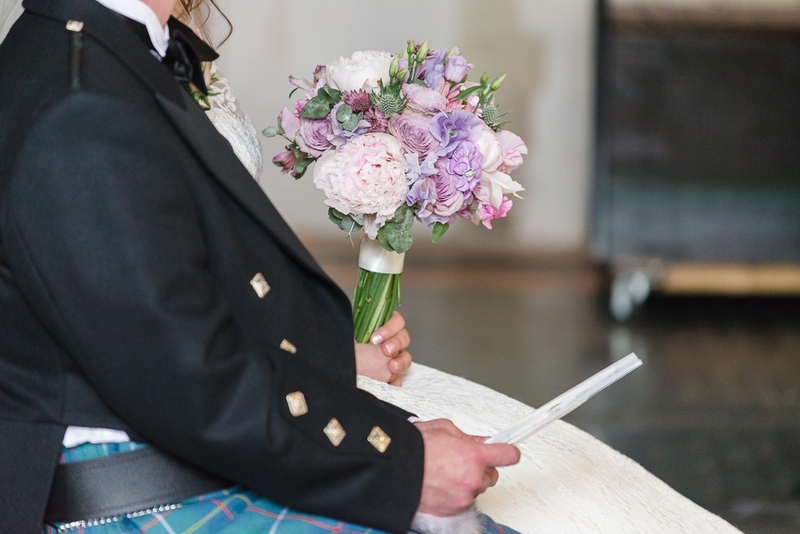 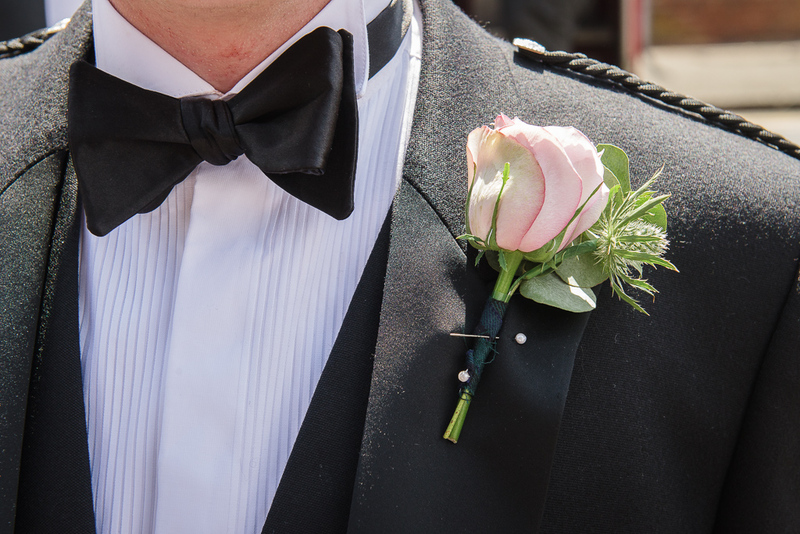 The groom, being of Scottish ancestry, arrived at the church with his groomsmen in traditional Scottish attire, including kilts. 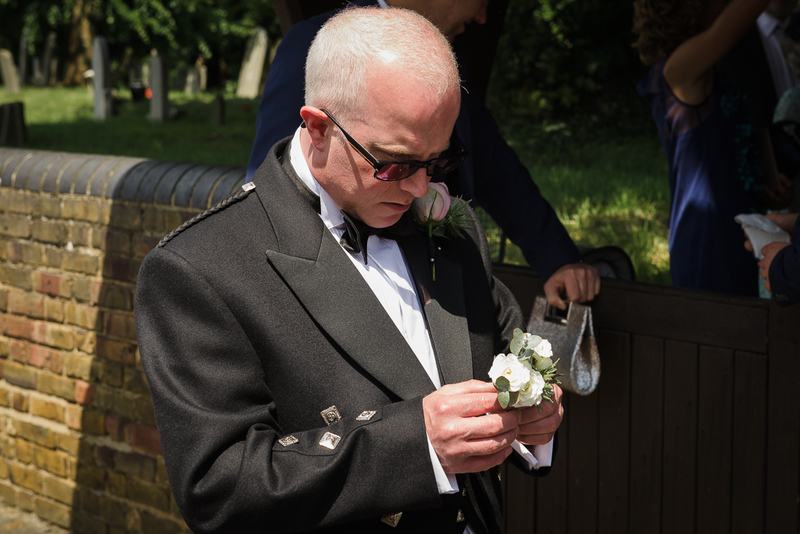 After some informal shots of Stuart, his groomsmen and guest arrivals, we waited for Laura to arrive. 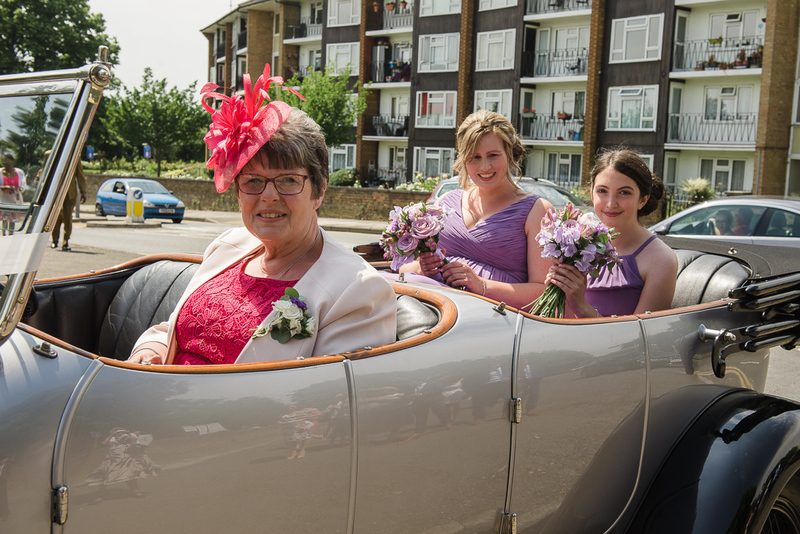 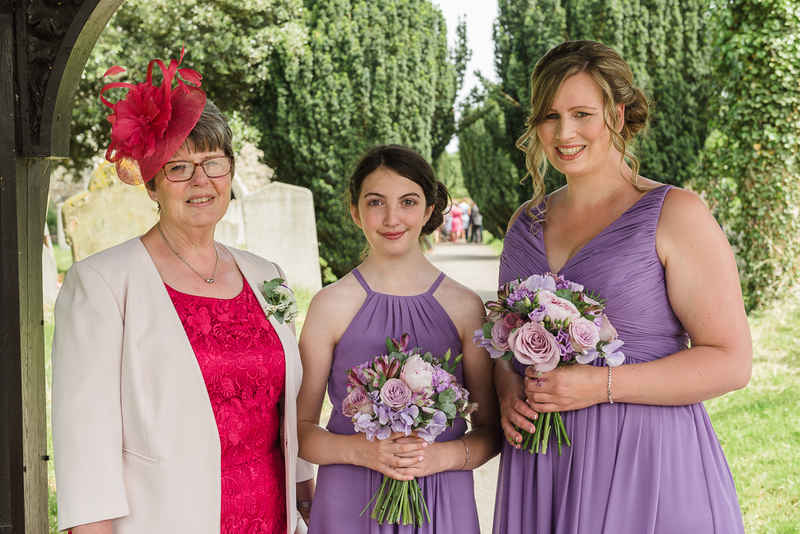 Firstly Laura’s mother and bridesmaids arrived followed by Laura and her father in a vintage open topped Rolls Royce Silver Ghost Soft Top. 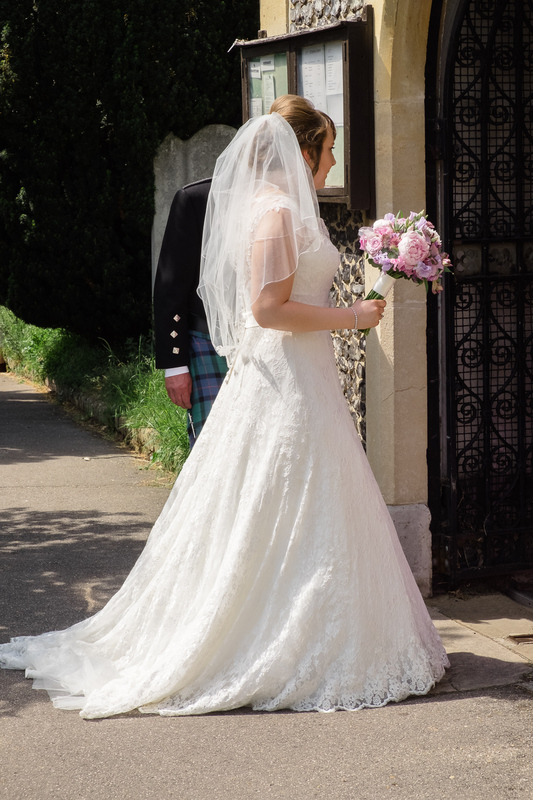 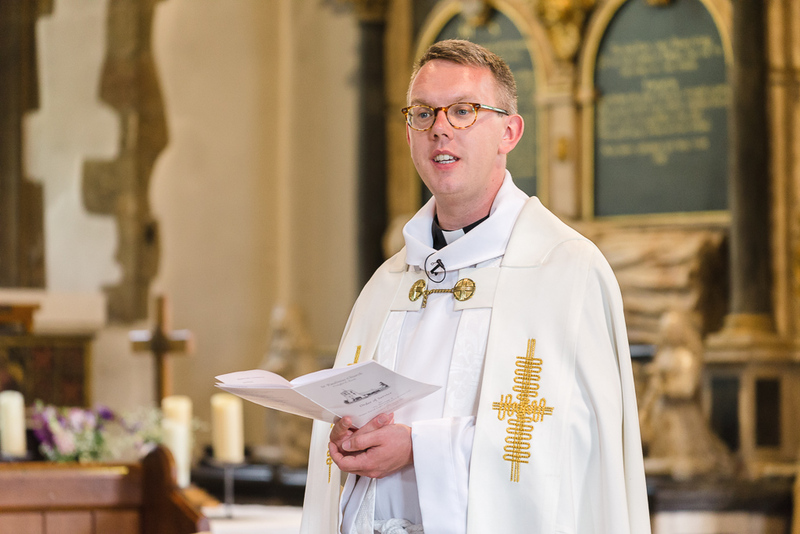 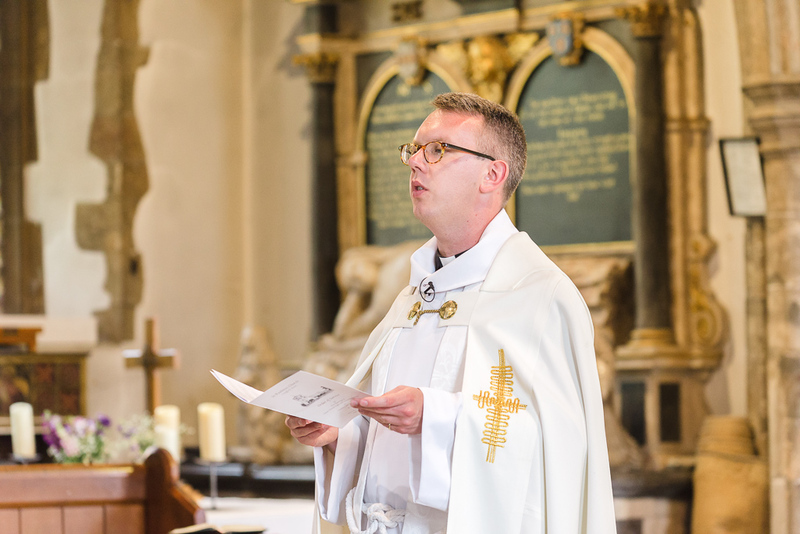 We took some photographs outside the church before entering to photograph the service in our usual unobtrusive documentary style. 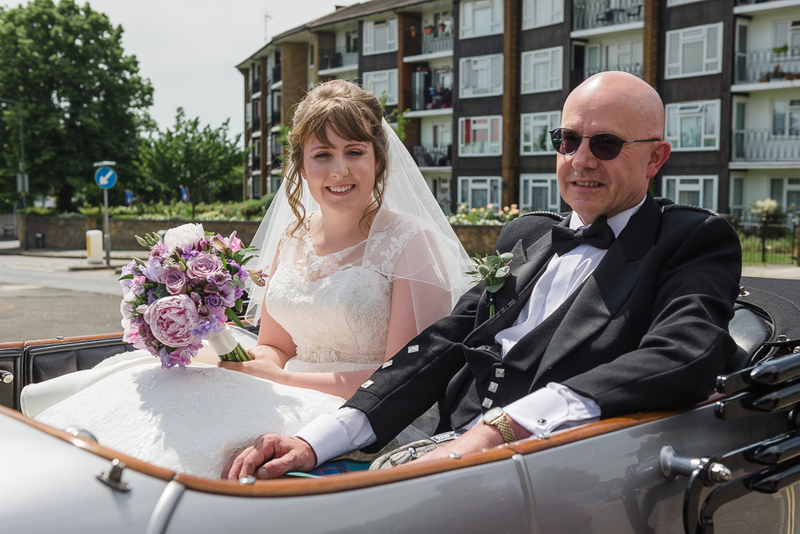 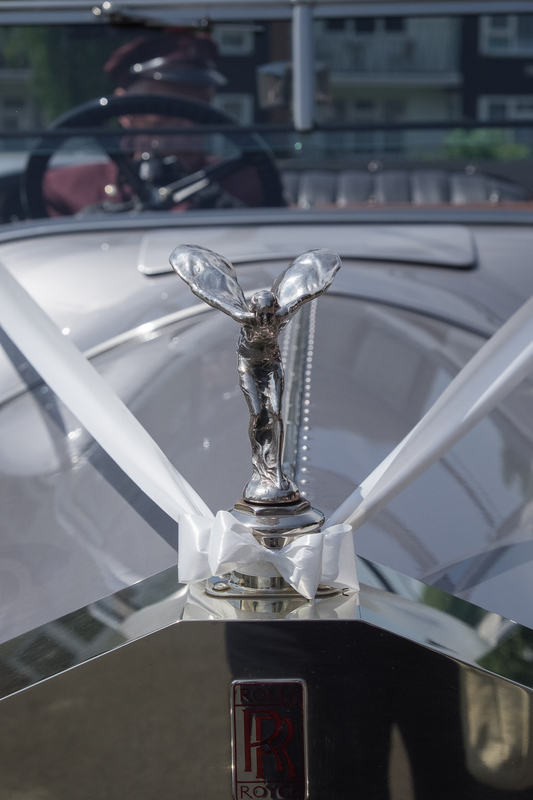 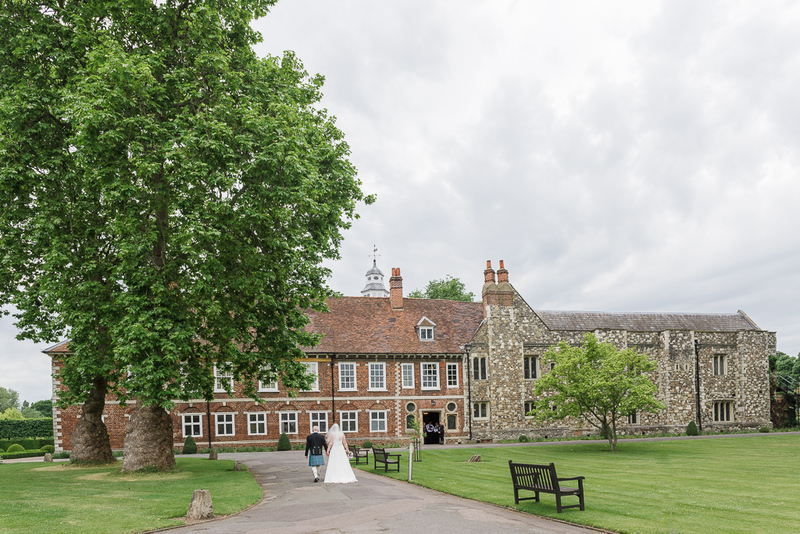 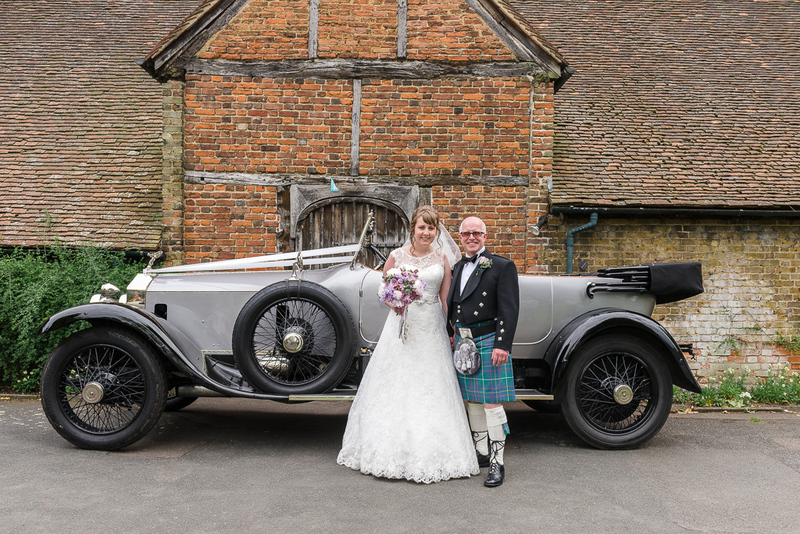 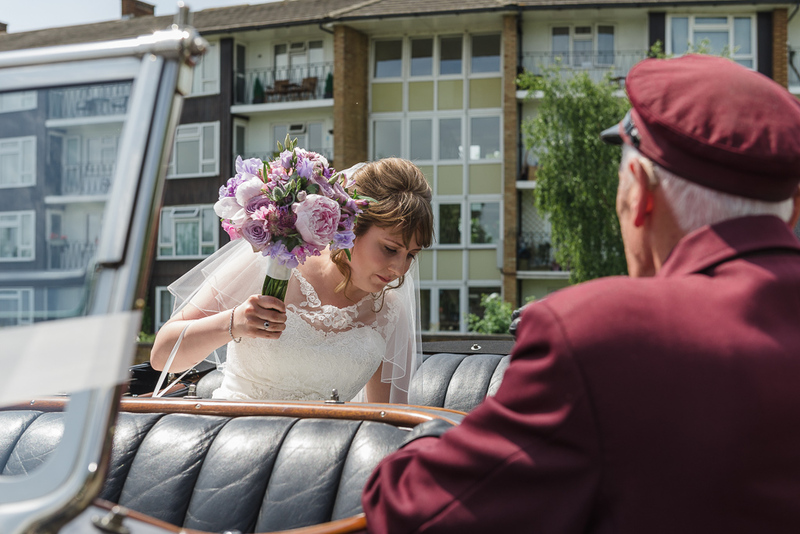 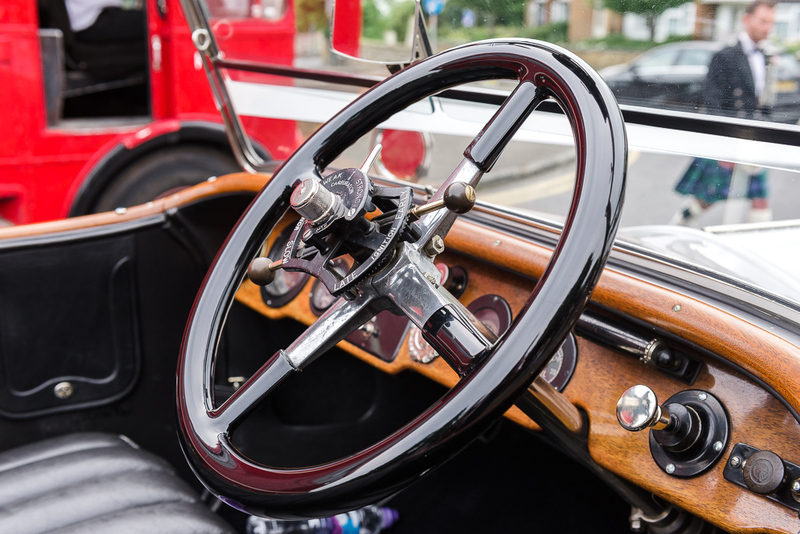 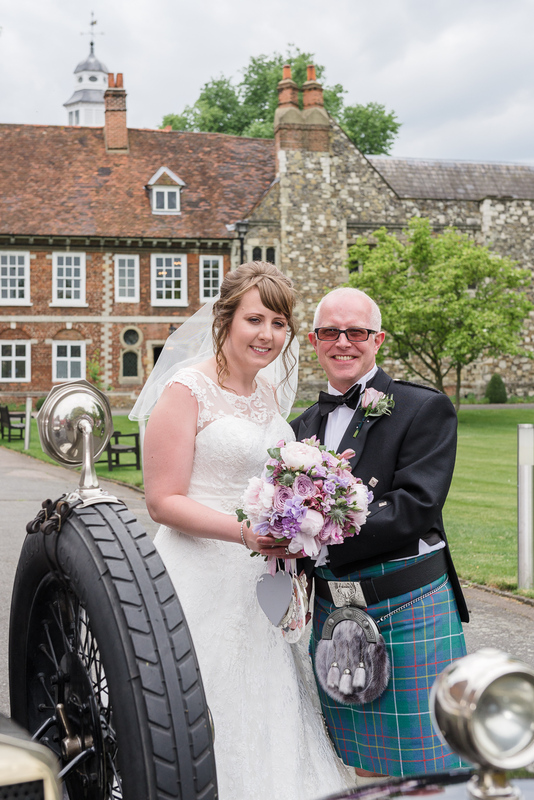 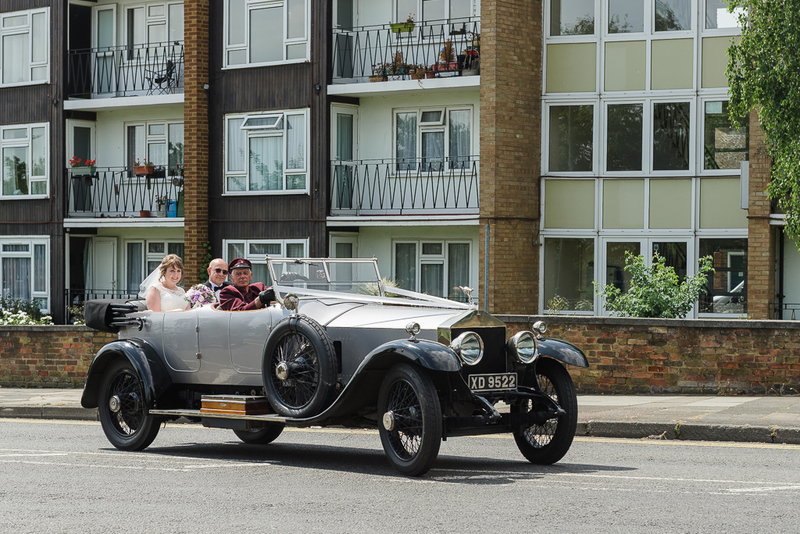 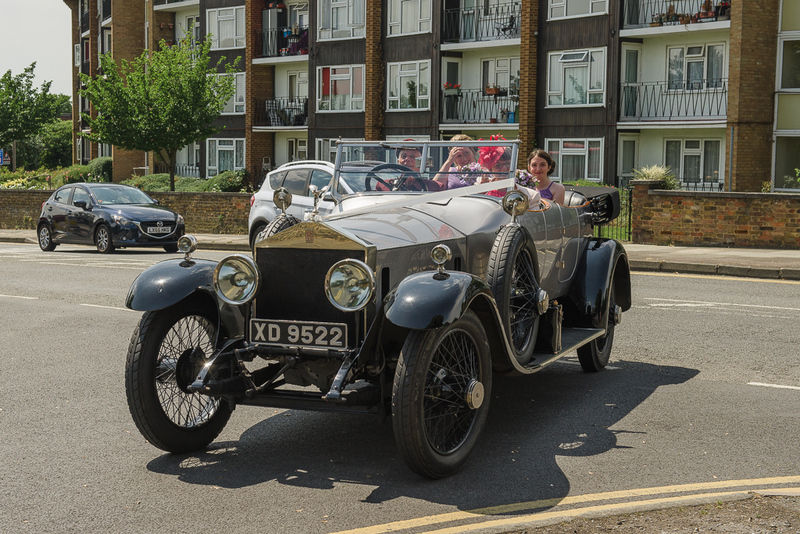 After the ceremony, Laura and Stuart left the church in their classic car and travelled the short distance to Hall Place, Bexley for their wedding reception and evening party. 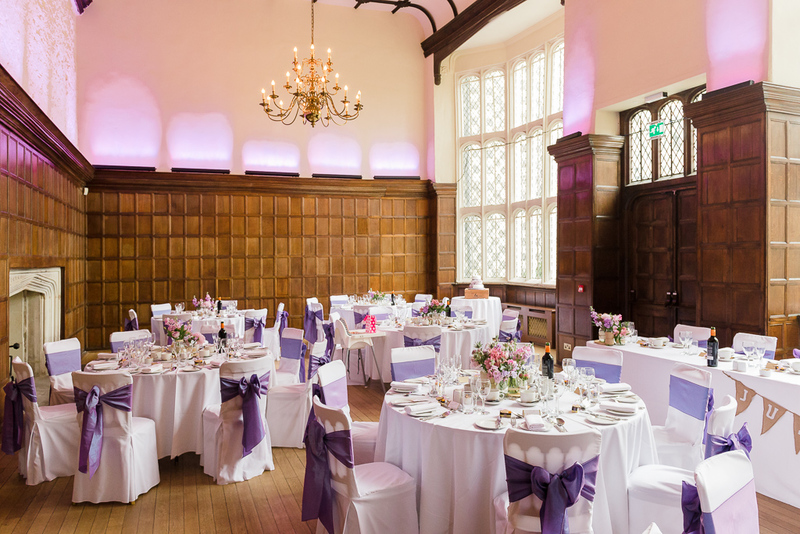 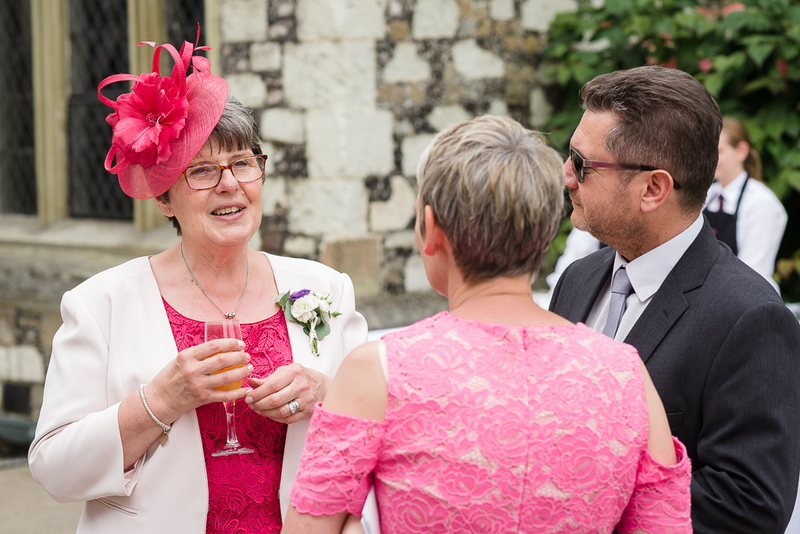 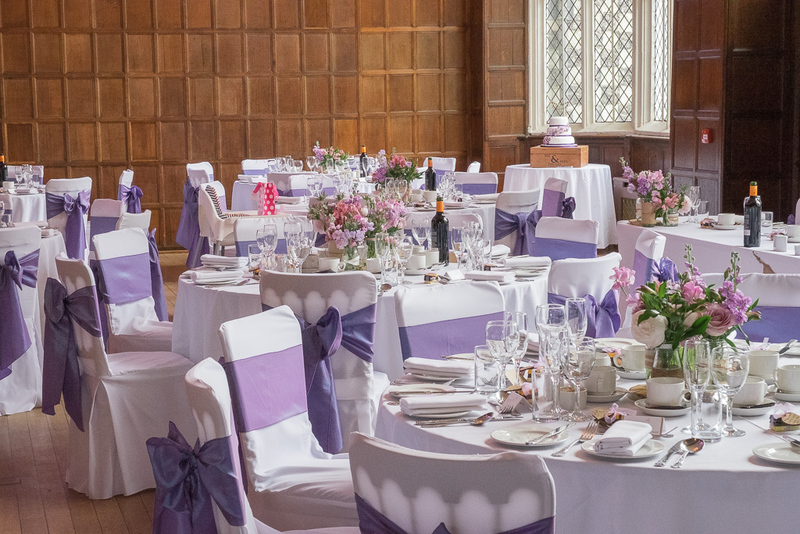 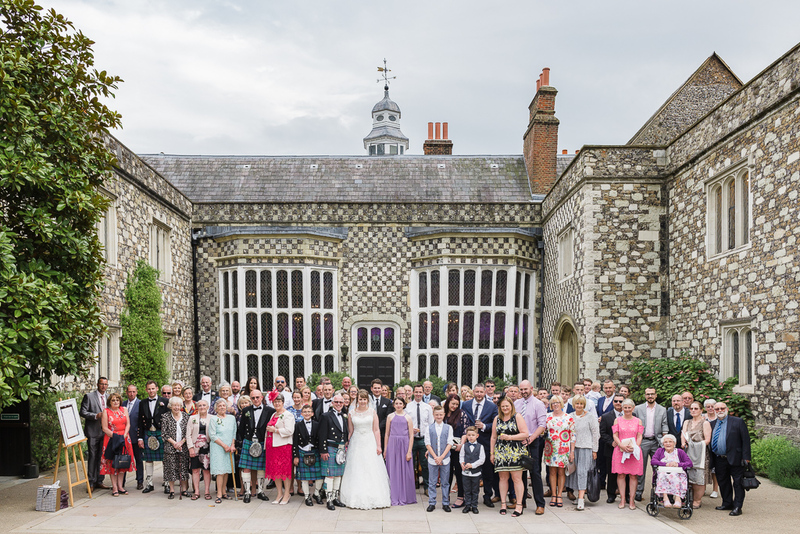 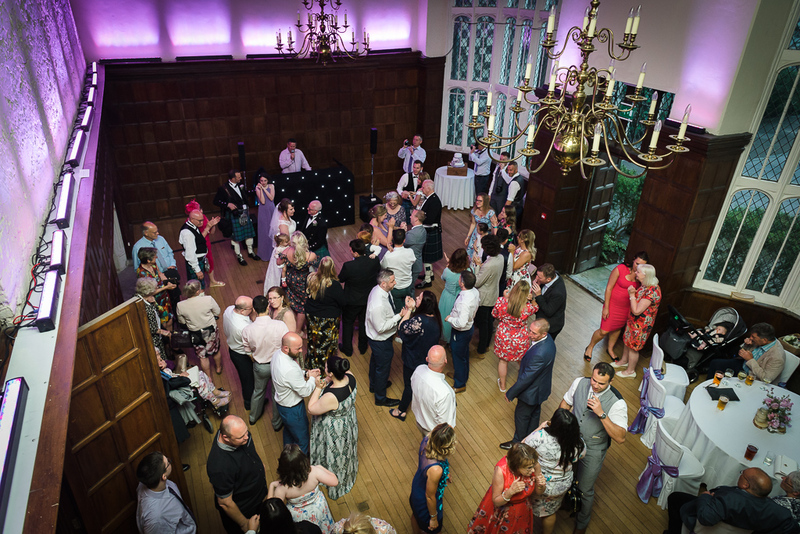 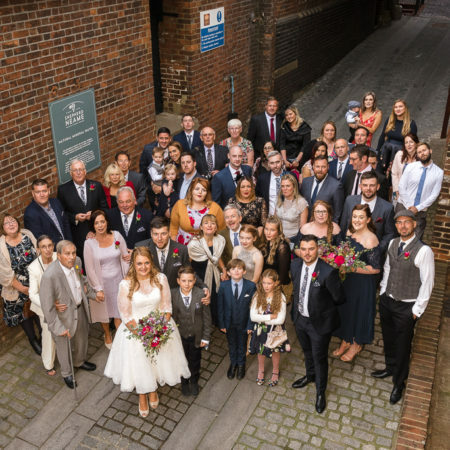 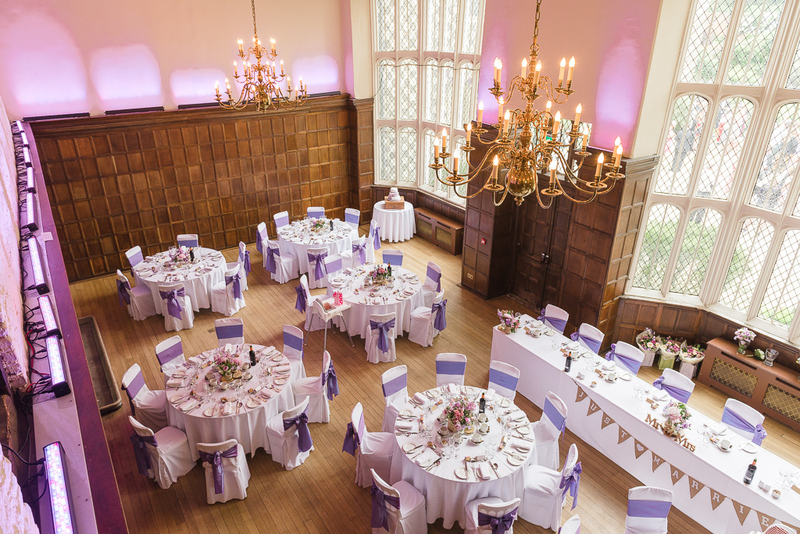 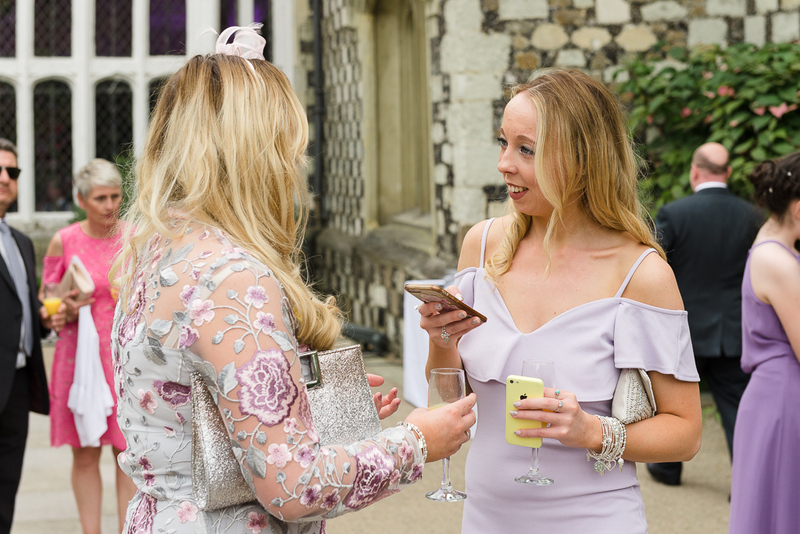 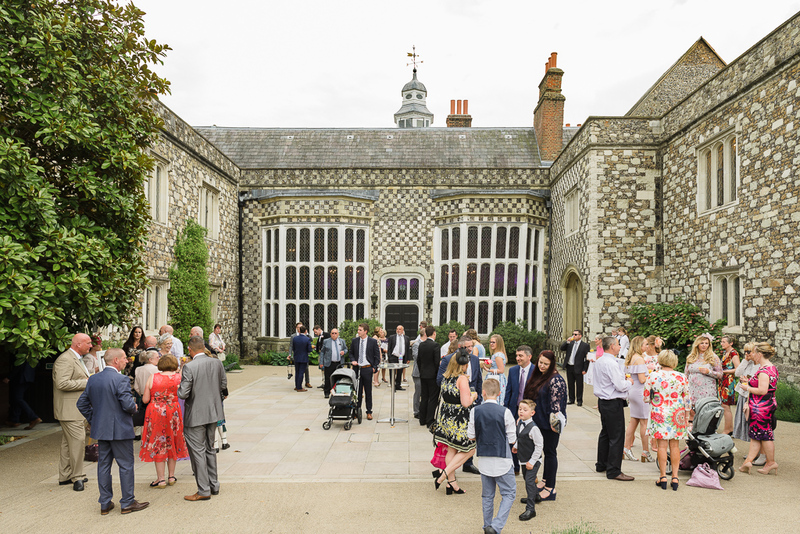 Their reception was held in The Great Hall and the rear courtyard was used for the pre-reception serving of canapés and drinks before and after the wedding breakfast. 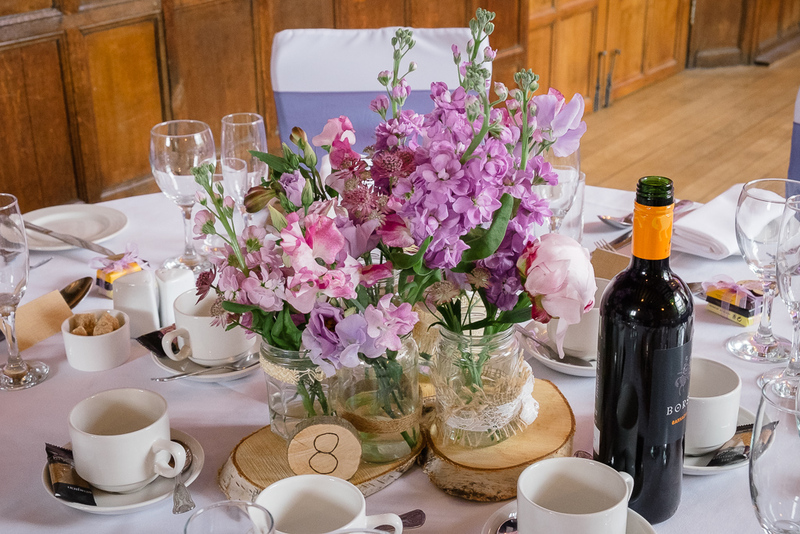 The venue was dressed beautifully with flowers which were supplied by our very good friend, Lisa of Gorgeous Floral Design. 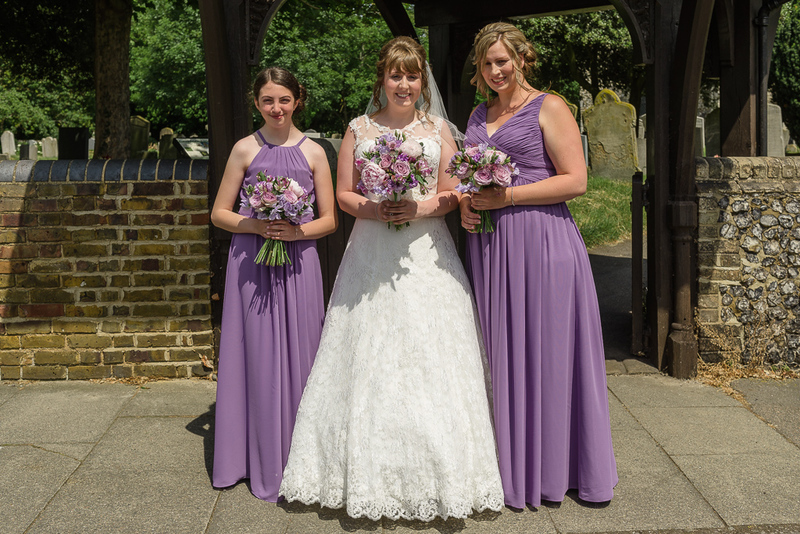 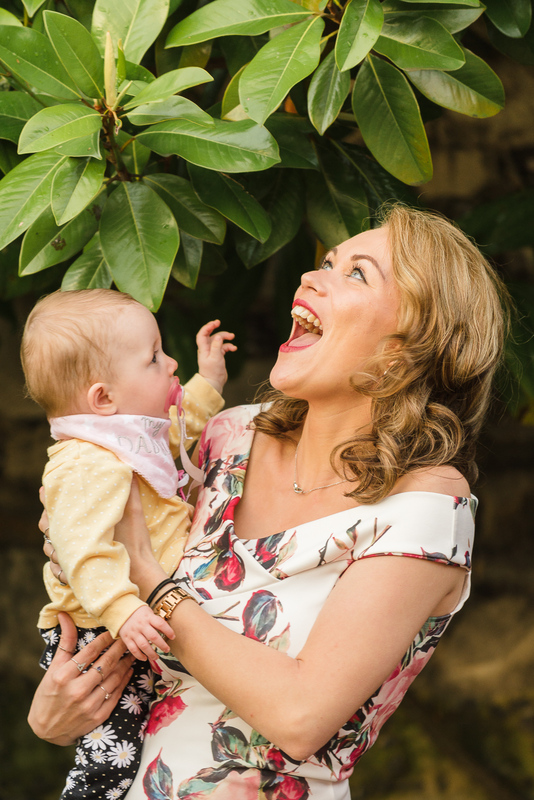 We have collaborated with Lisa on a number of occasions over the years and would highly recommend her. 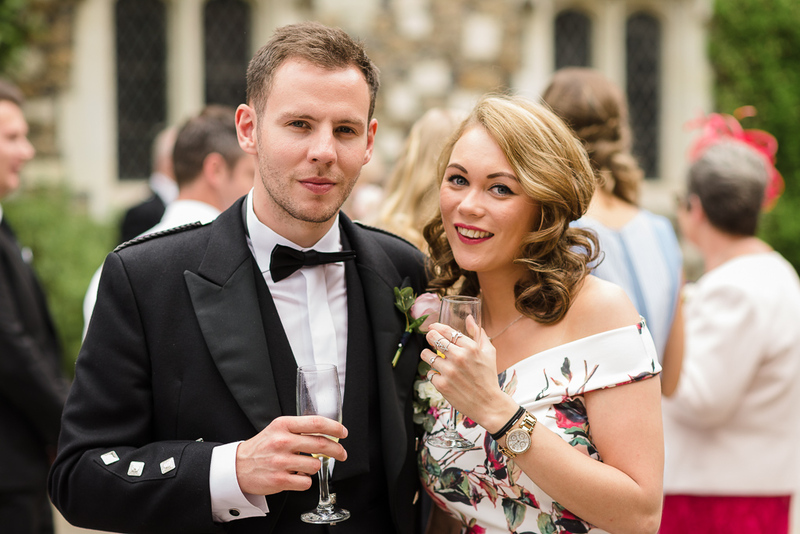 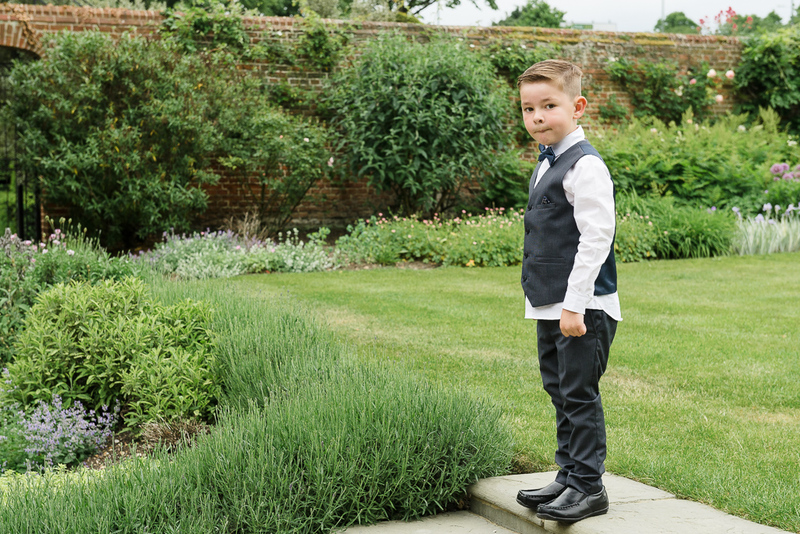 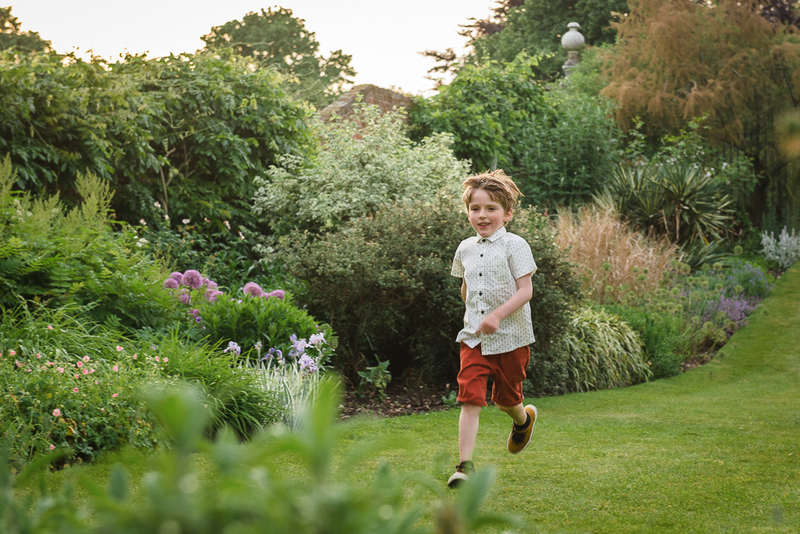 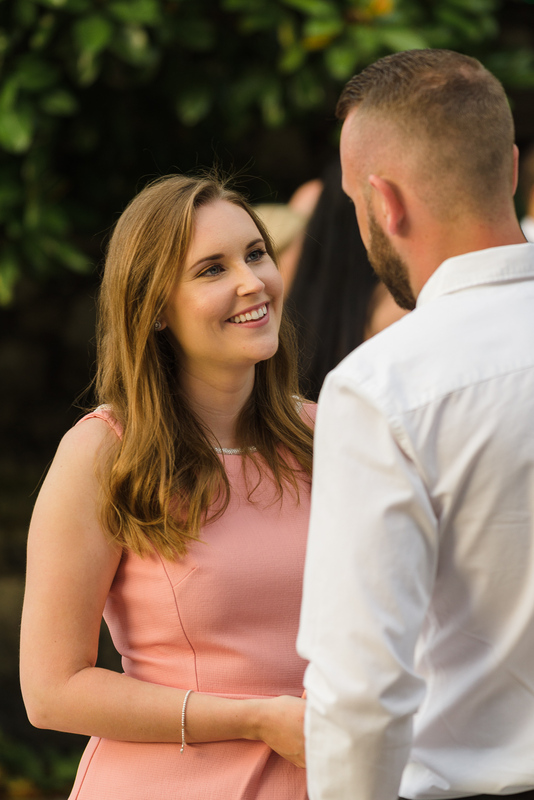 Between the wedding breakfast and evening reception, we had great fun shooting Laura and Stuart’s portraits around the grounds of Hall Place. 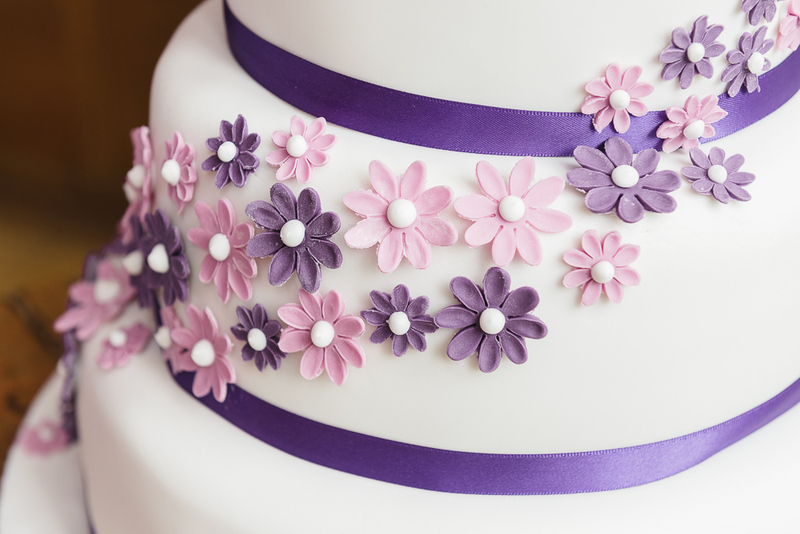 The day finished for us after the cake cutting and as few dances, and we left them to enjoy the rest of the evening with their family and friends. 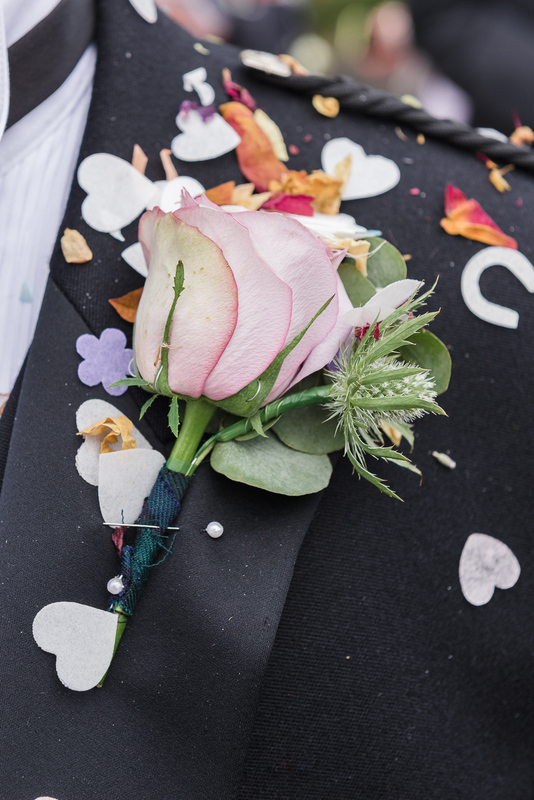 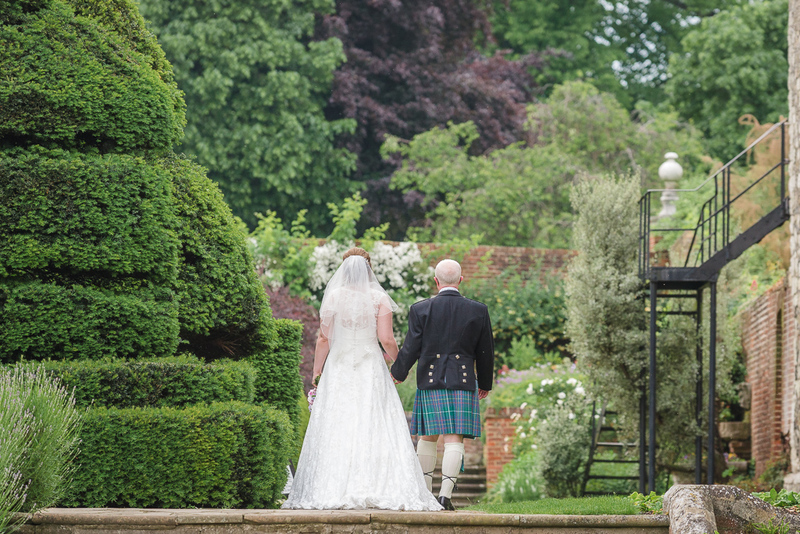 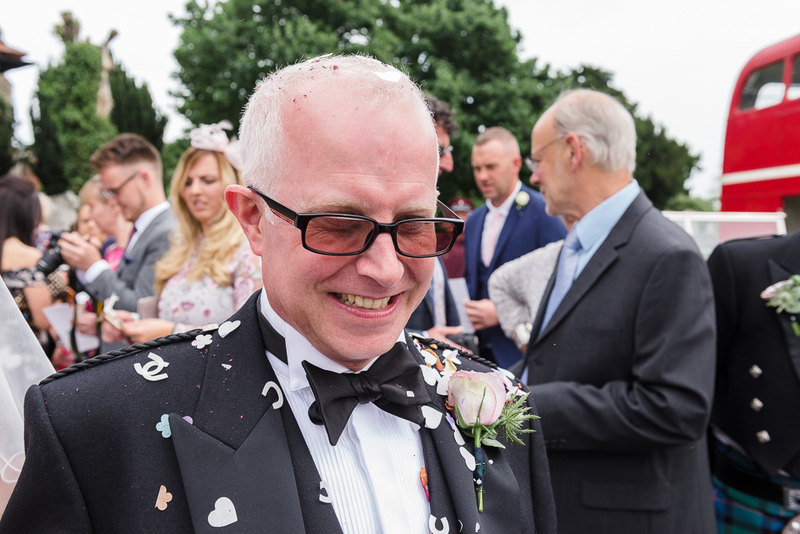 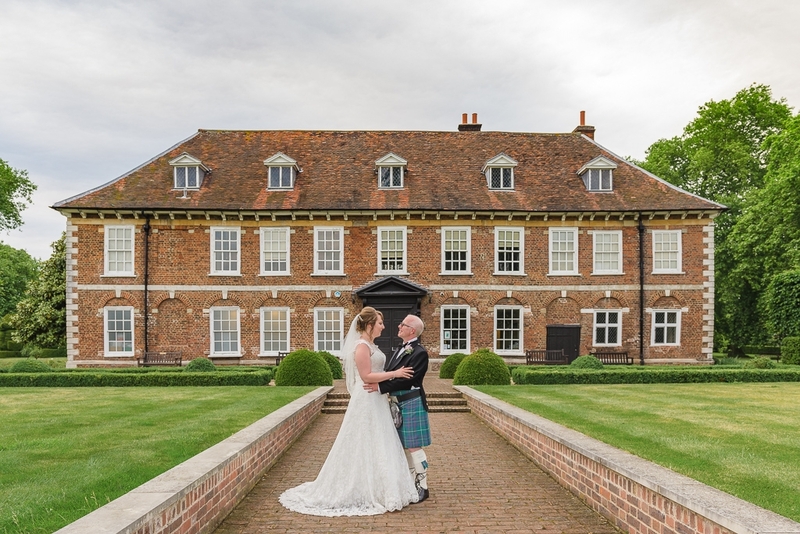 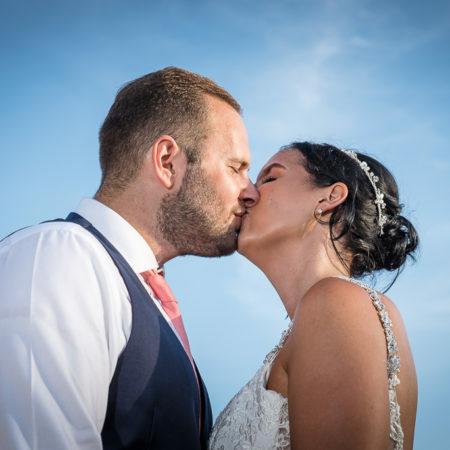 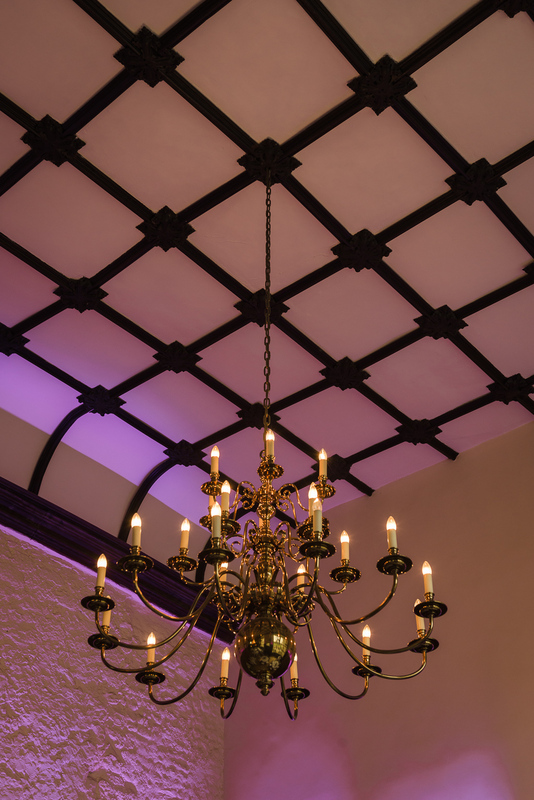 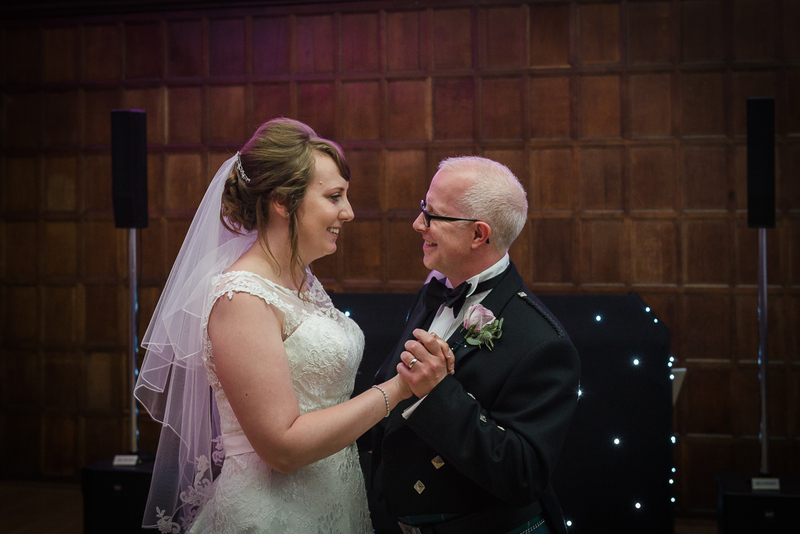 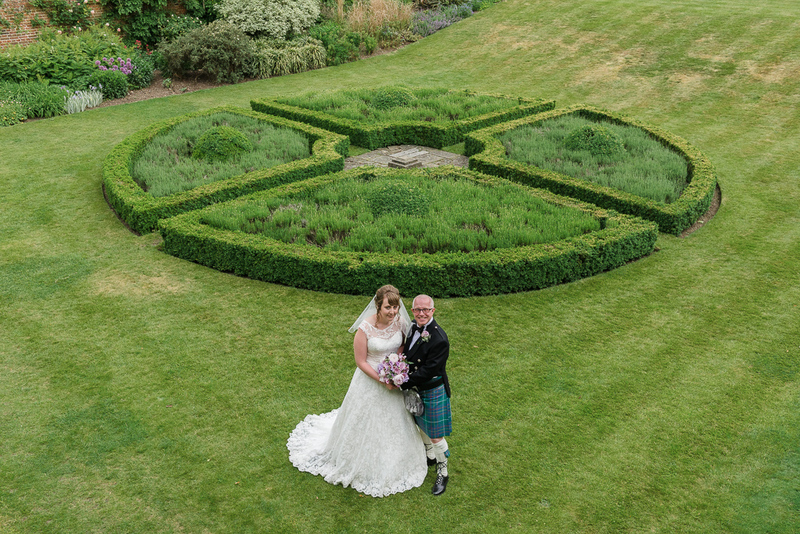 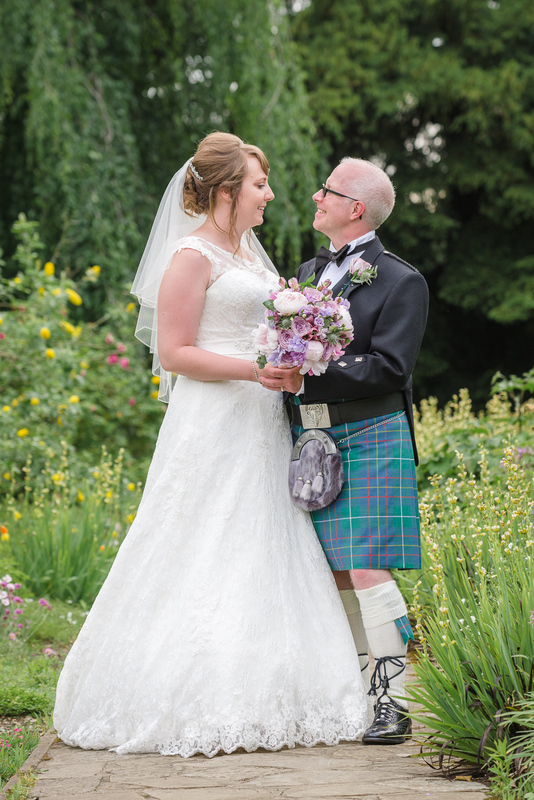 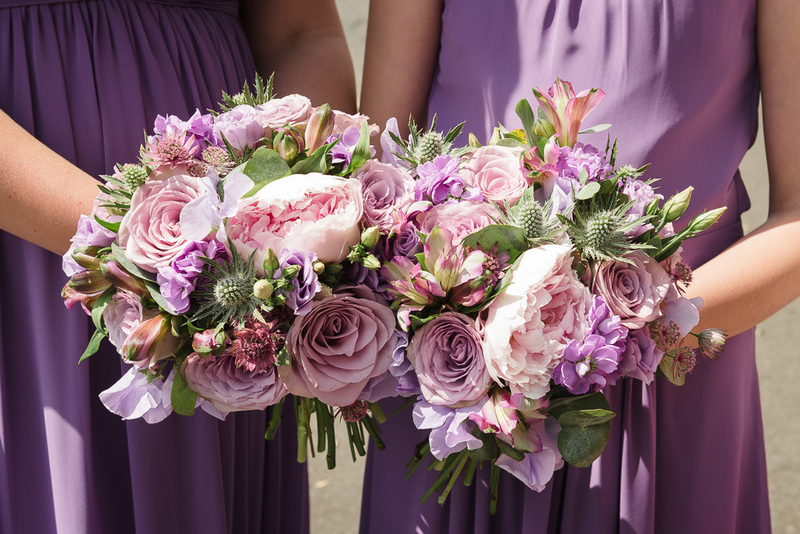 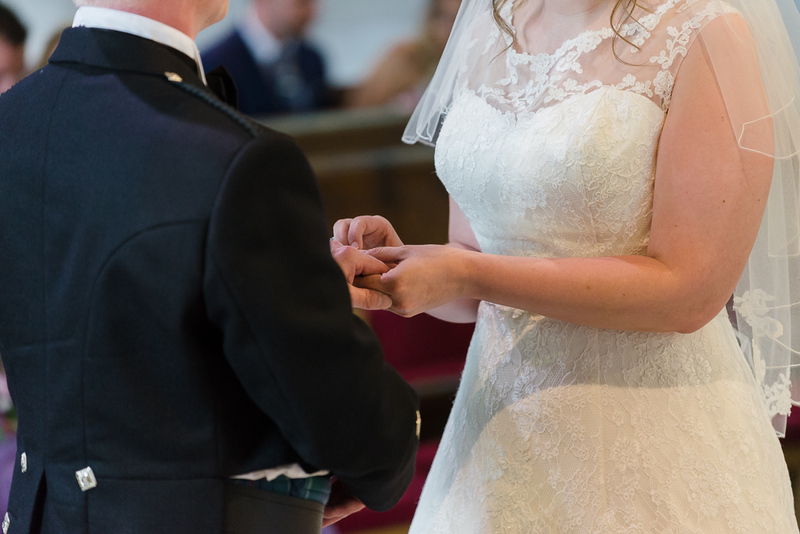 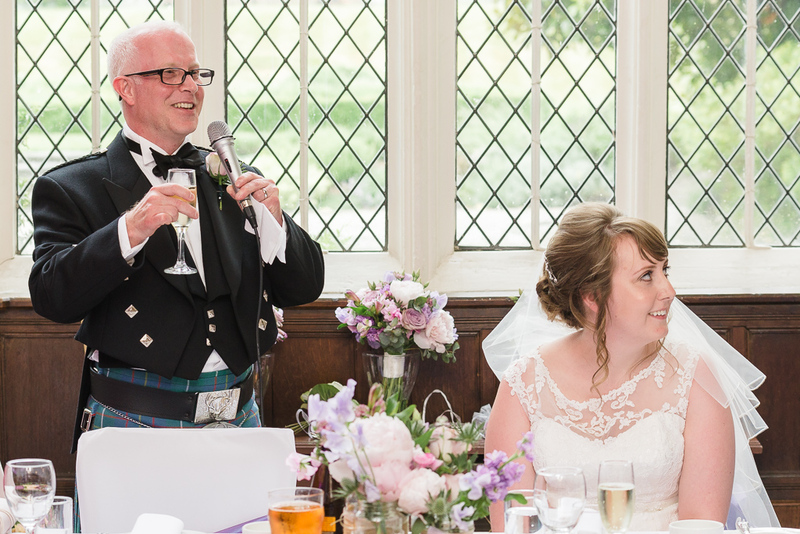 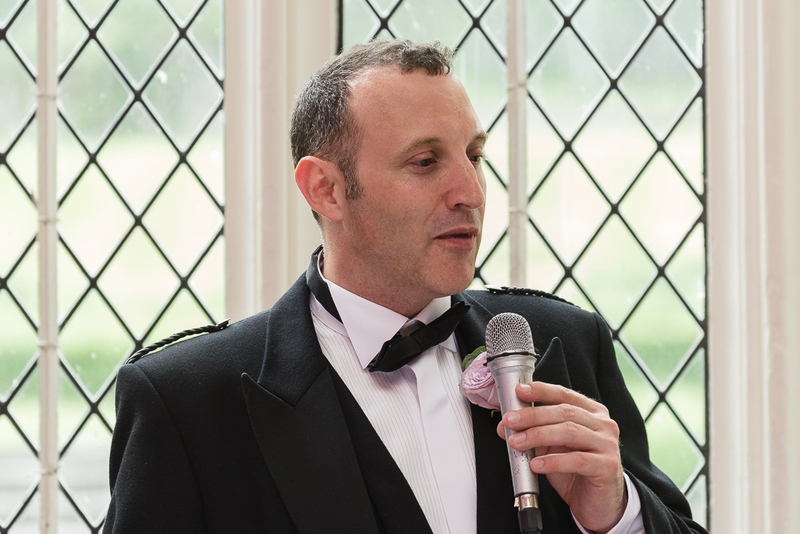 If you are planning your wedding and wish to discuss booking your wedding photography with Oakhouse Photography, or to check our availability, please feel free to contact us using our contact form. 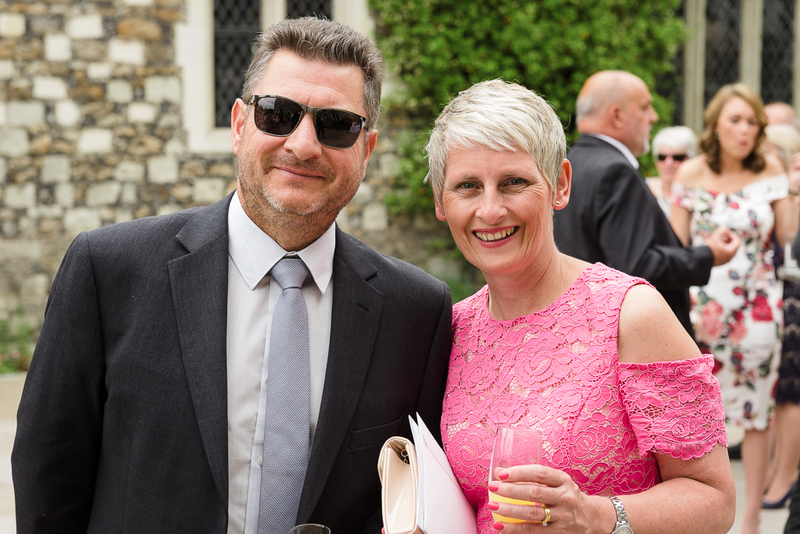 You can also contact Tony on 07725 805768 and Carol on 07703 493574. 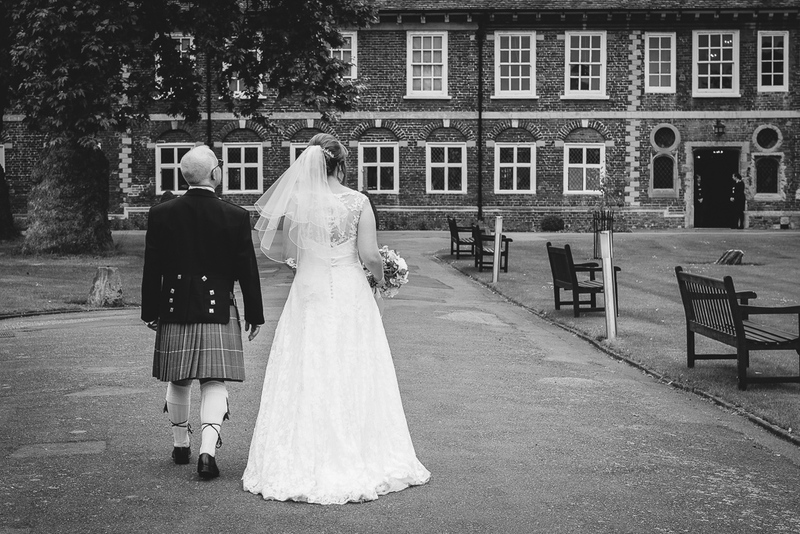 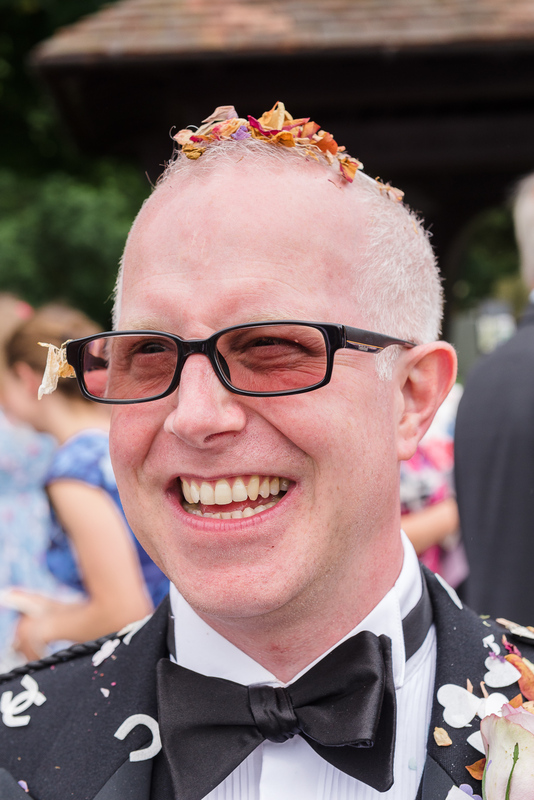 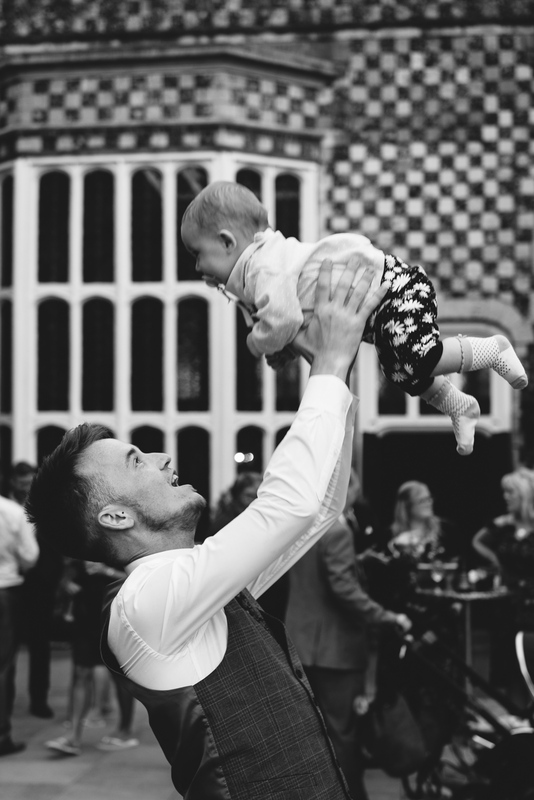 Alternatively, you can email us at hello@oakhousephotography.co.uk.